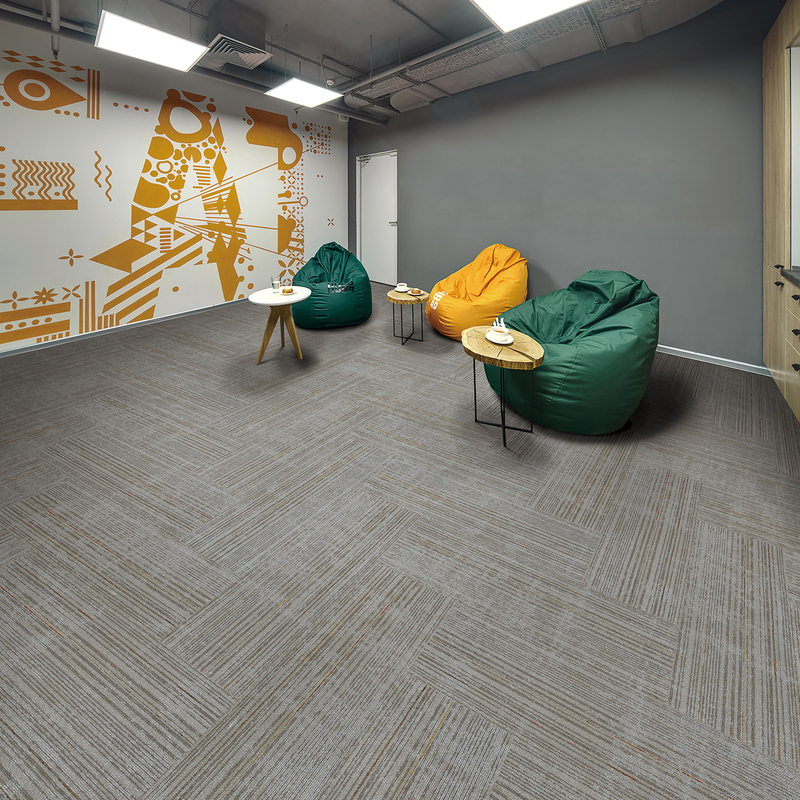 Pop Art is a Designer’s dream! 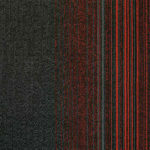 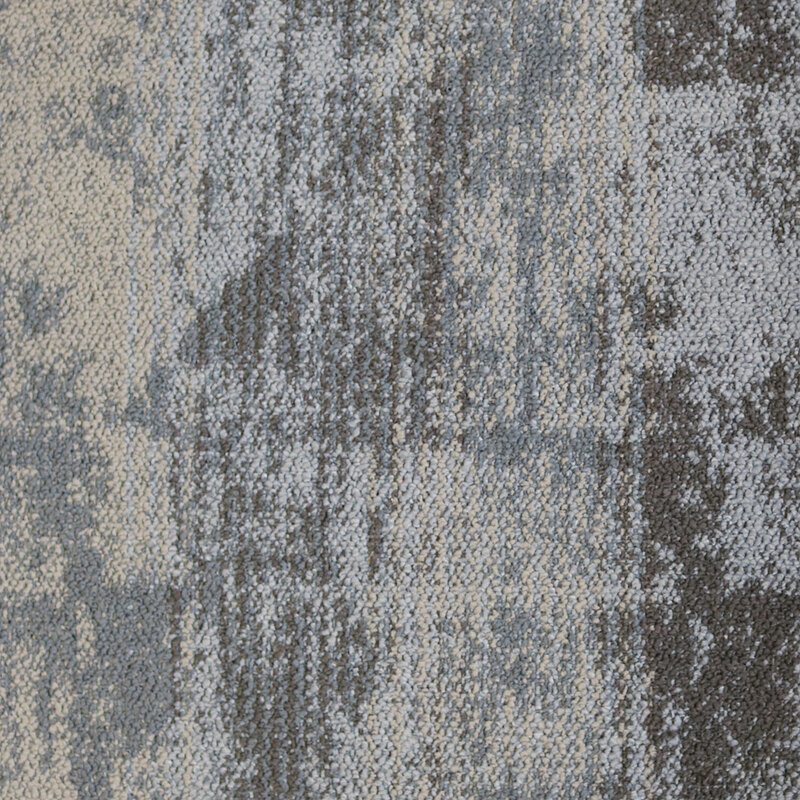 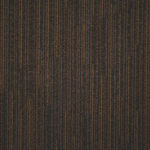 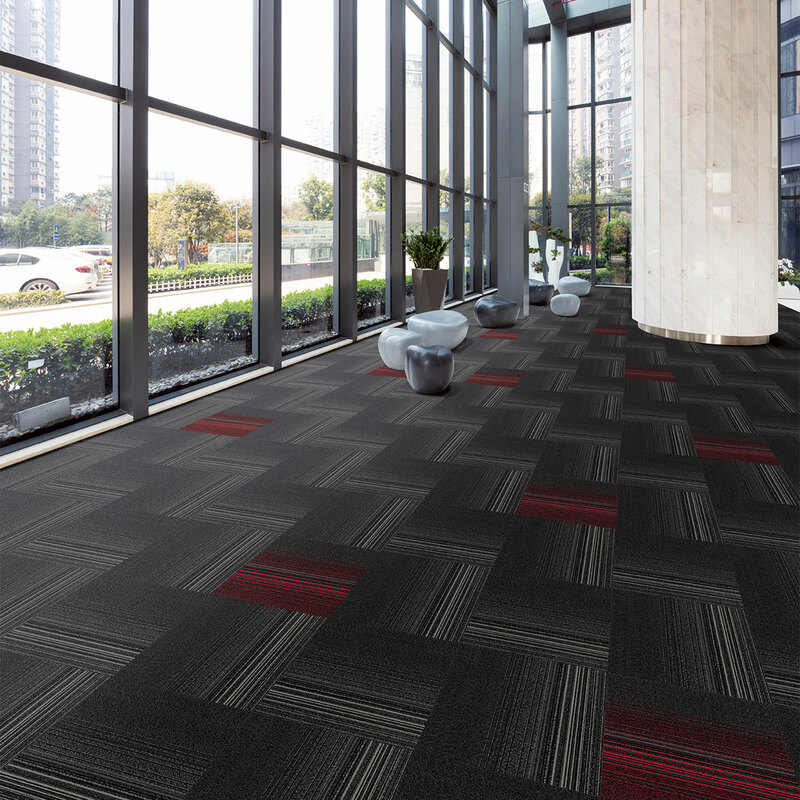 With a linear pattern and coordinating colours, this style is suitable for trendy commercial interiors. 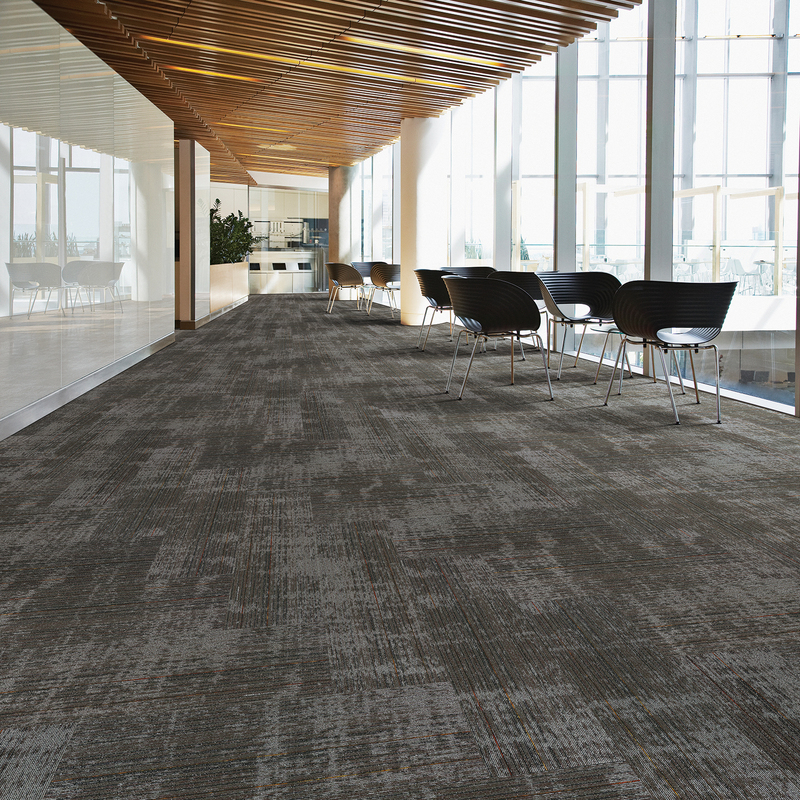 Featuring Nylon 6,6 fiber for the toughest environments. 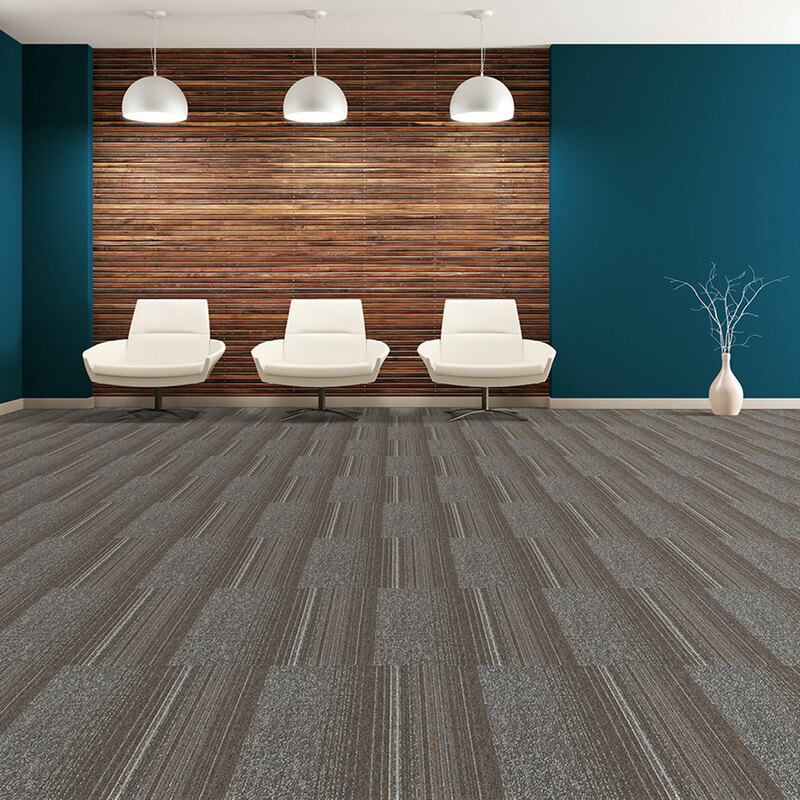 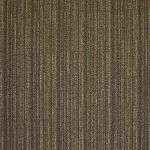 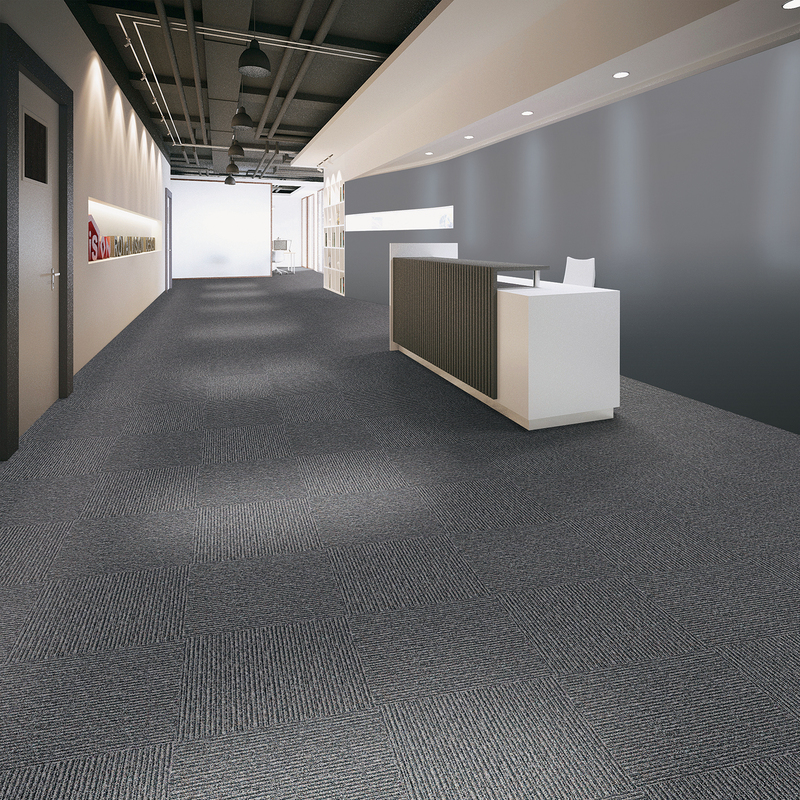 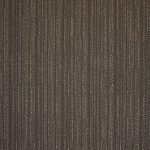 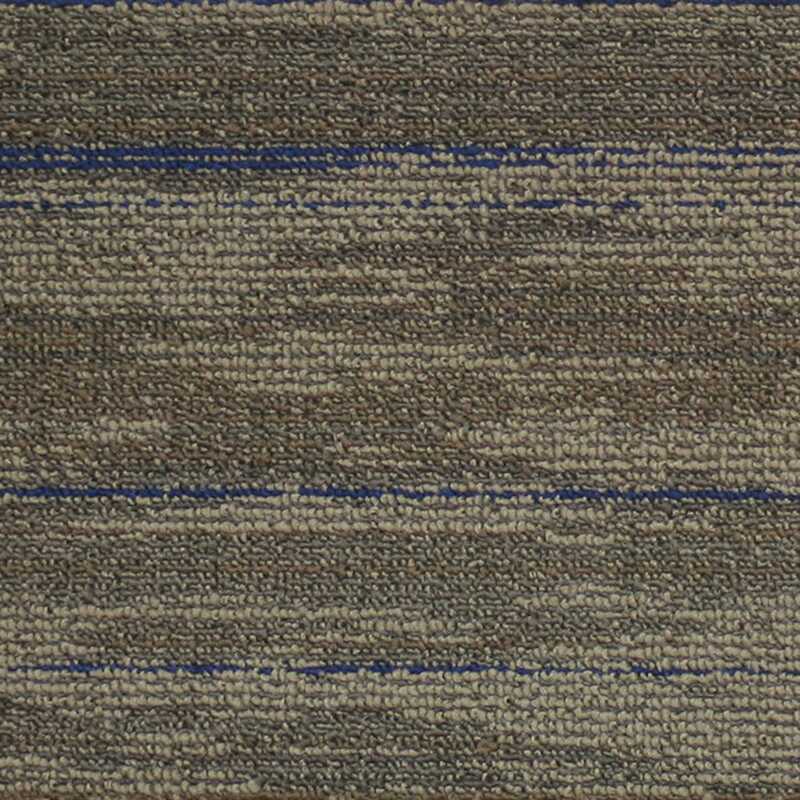 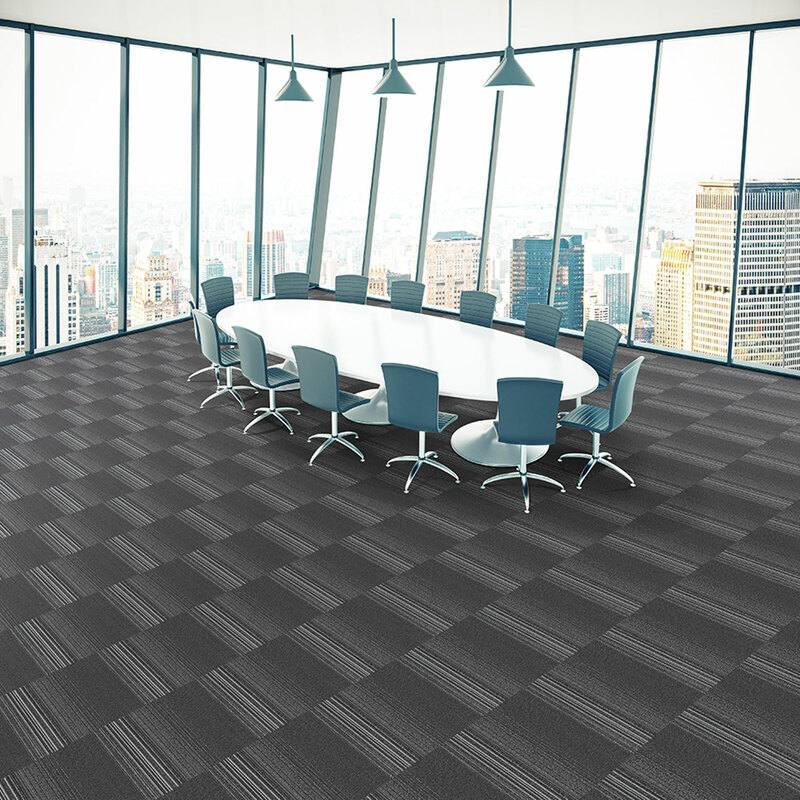 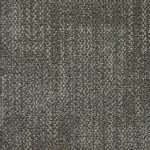 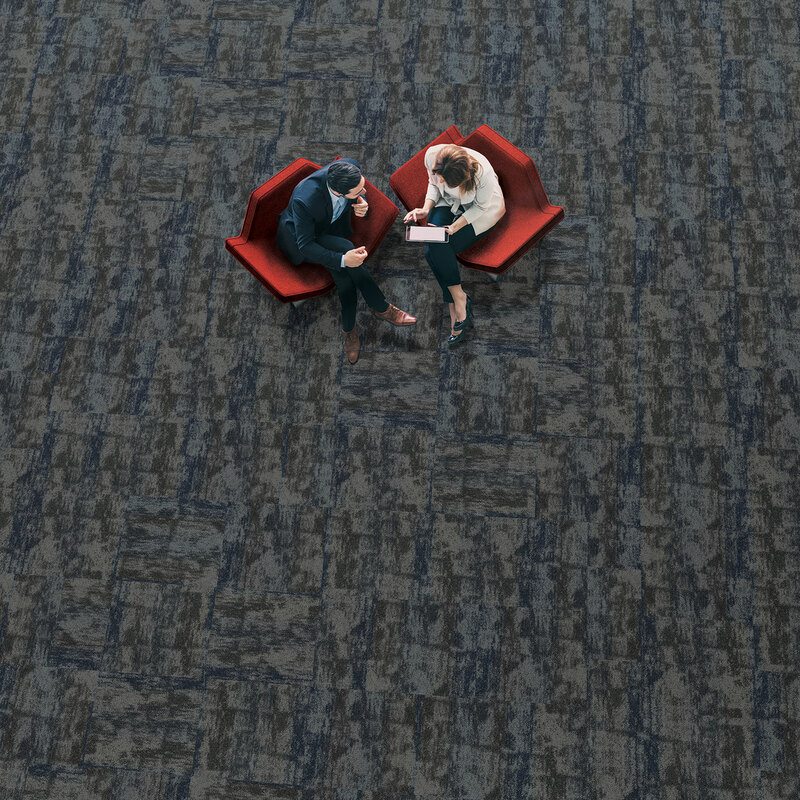 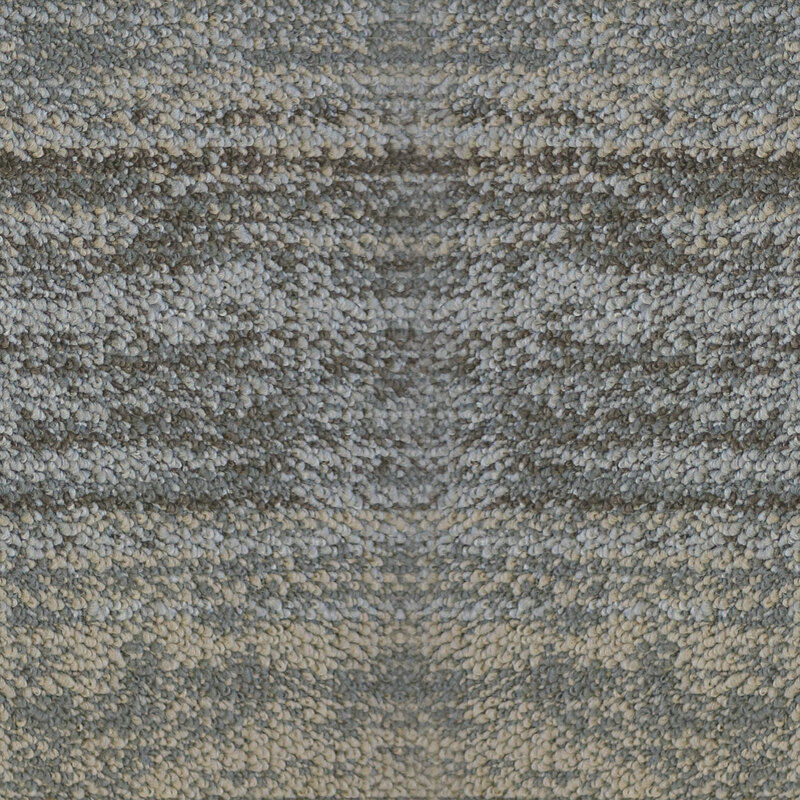 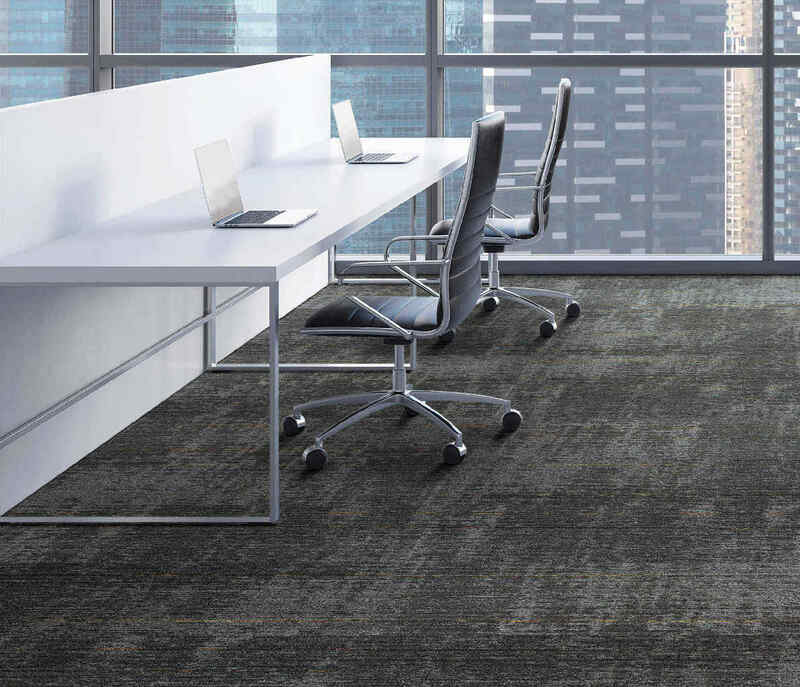 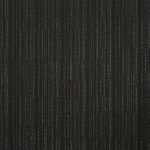 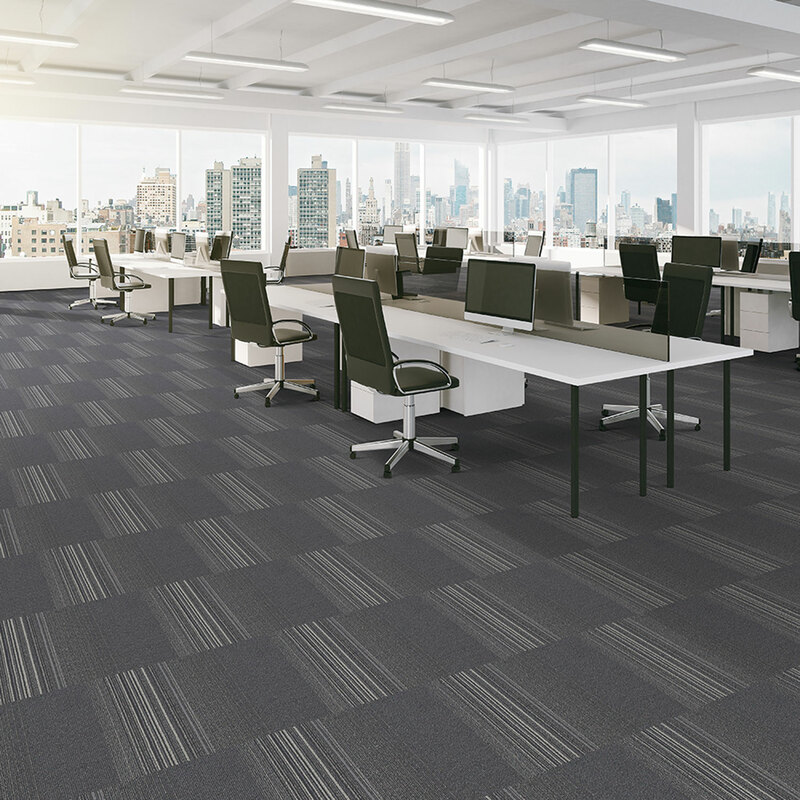 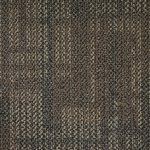 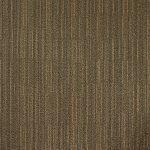 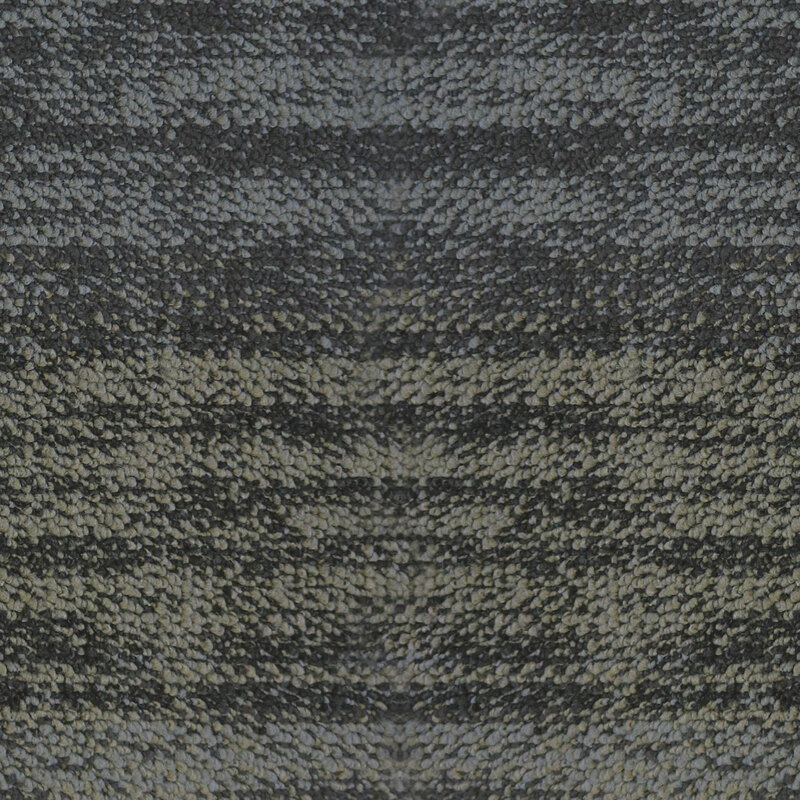 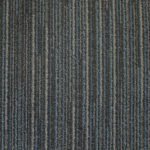 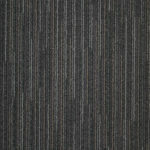 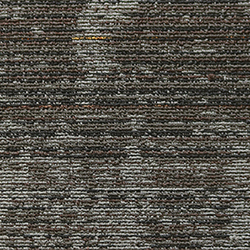 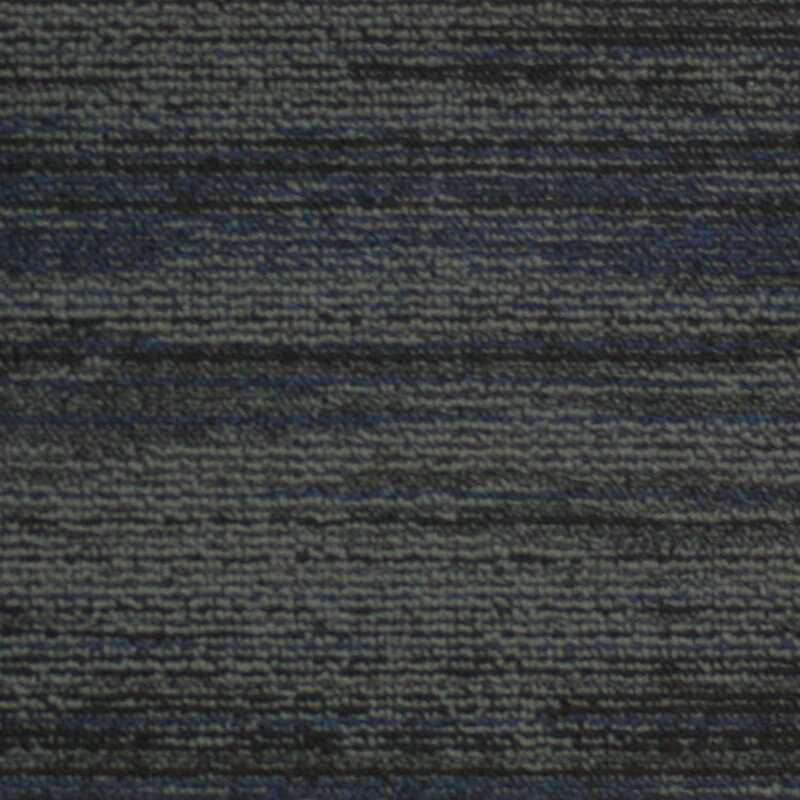 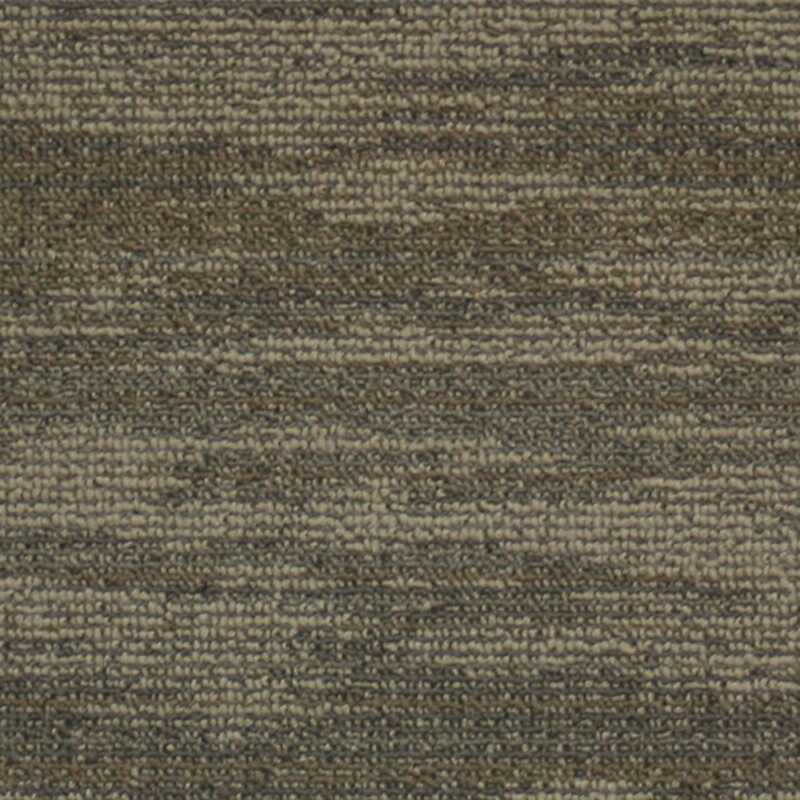 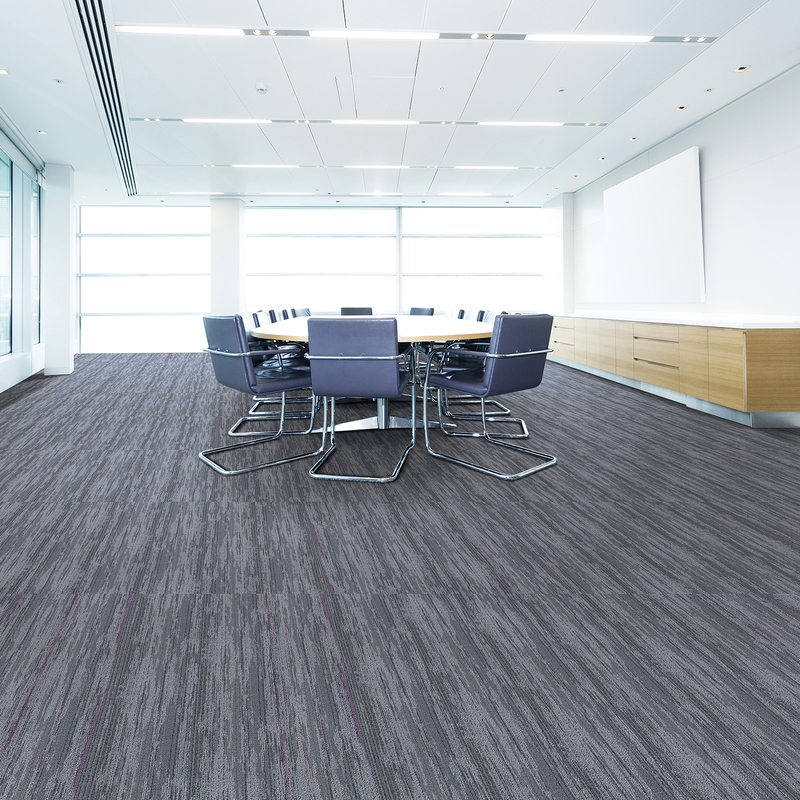 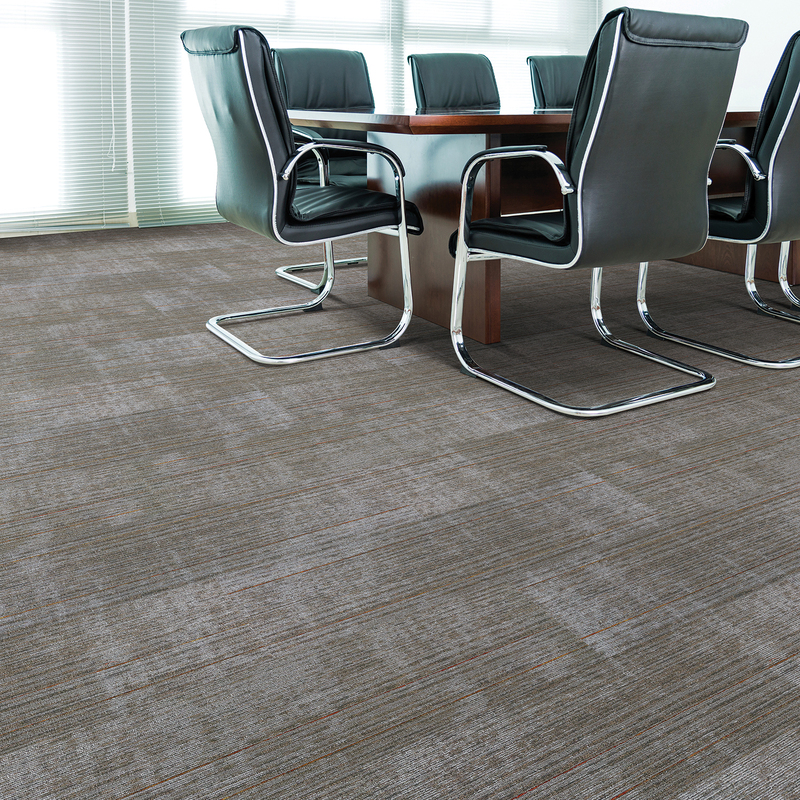 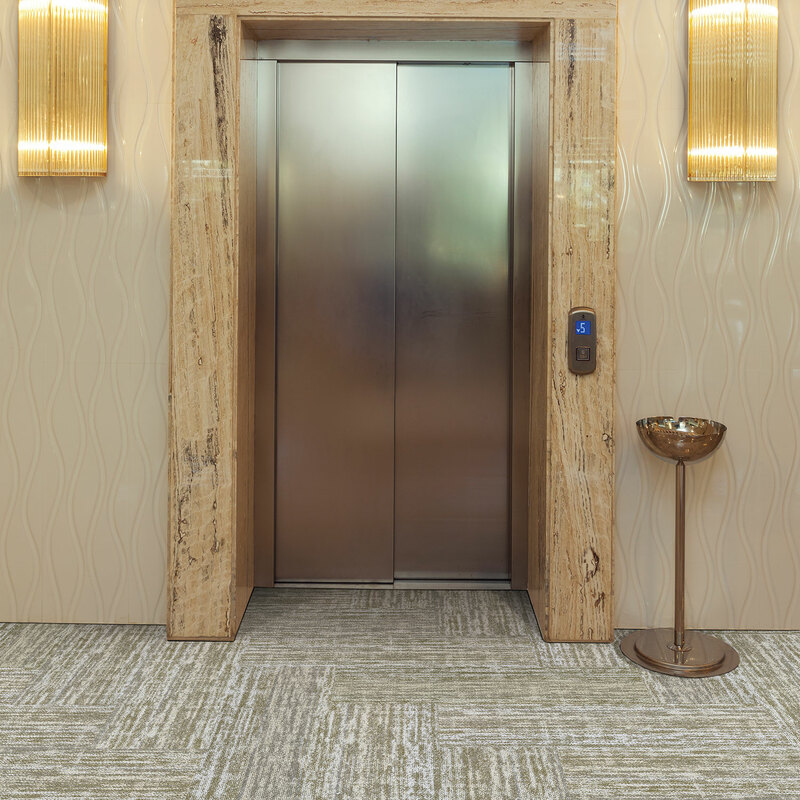 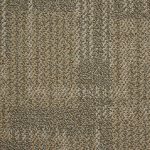 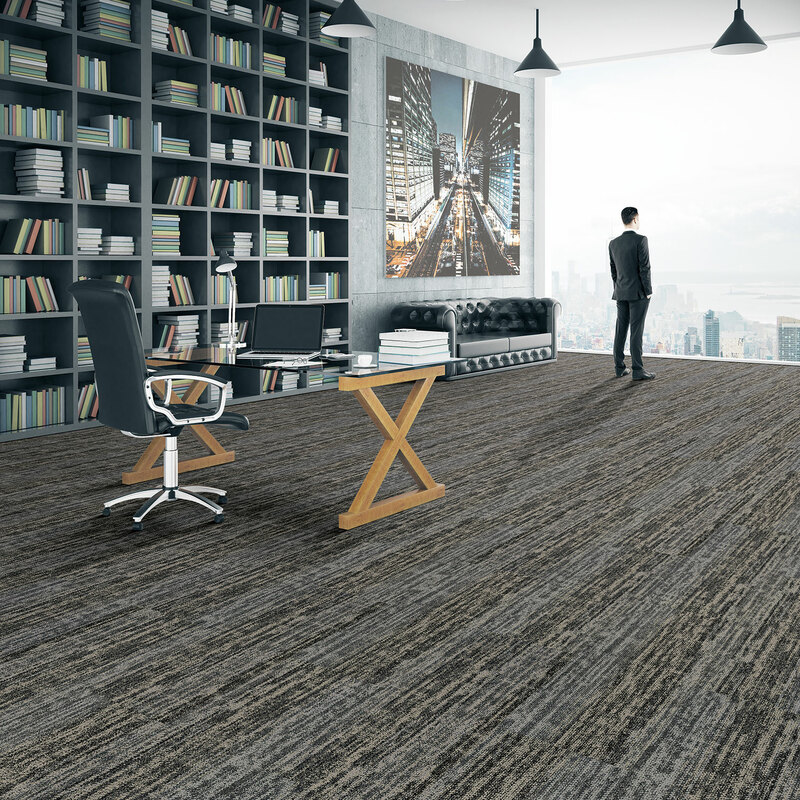 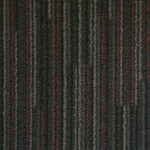 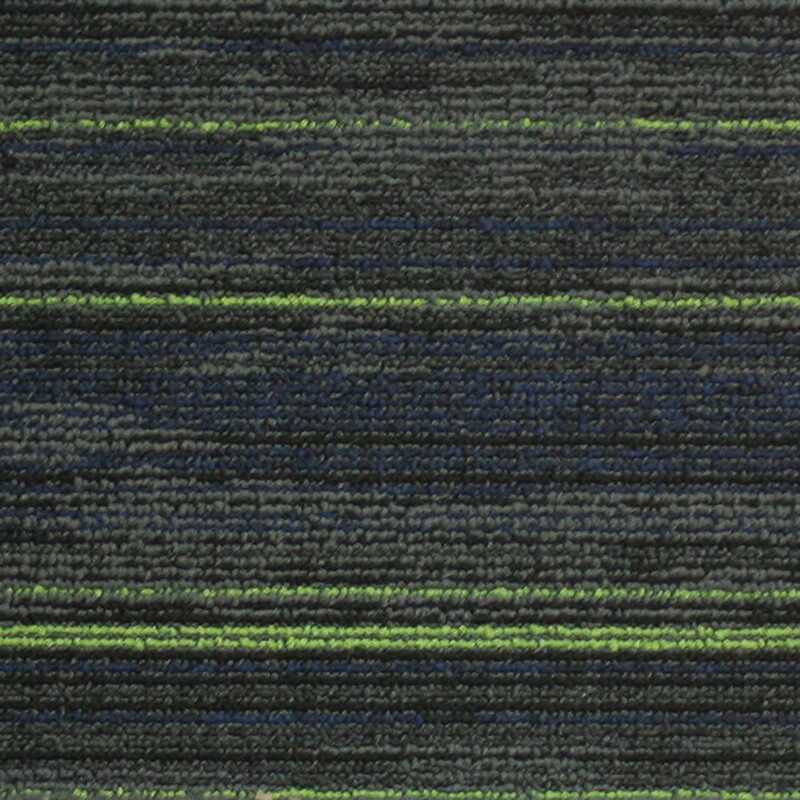 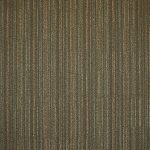 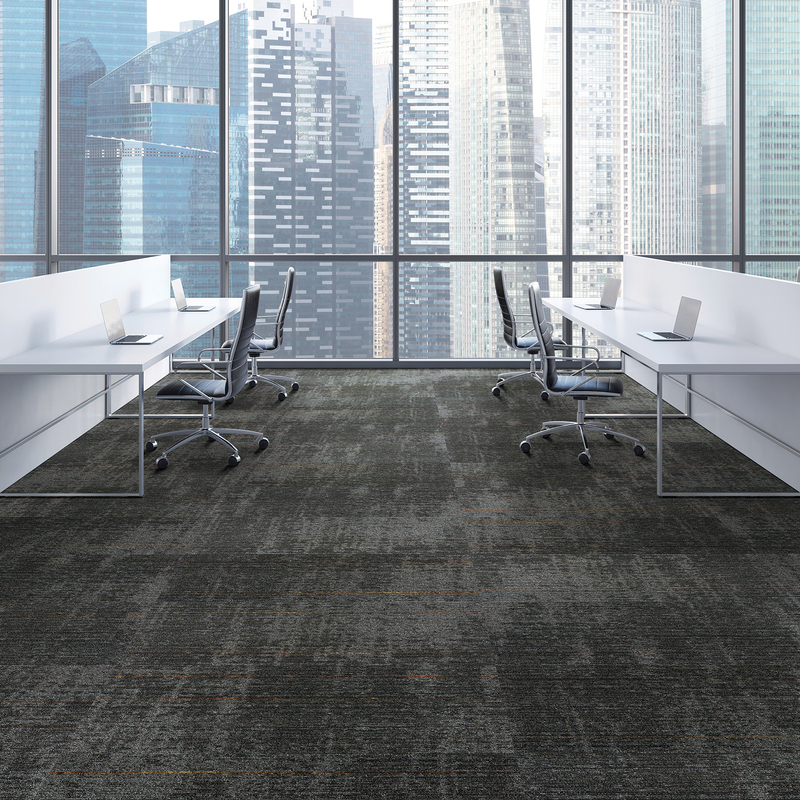 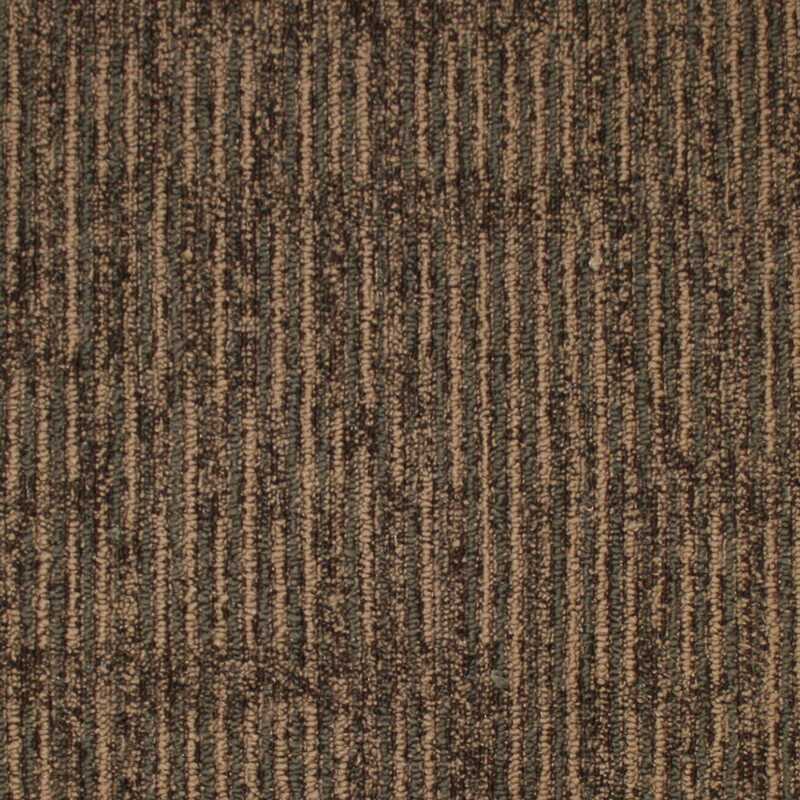 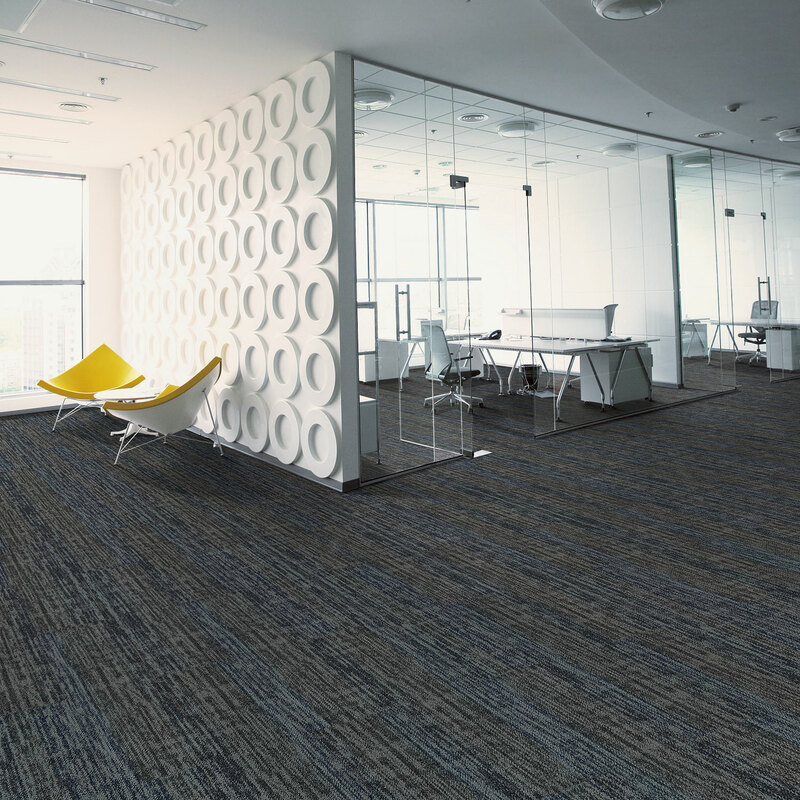 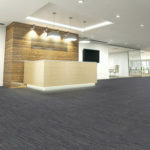 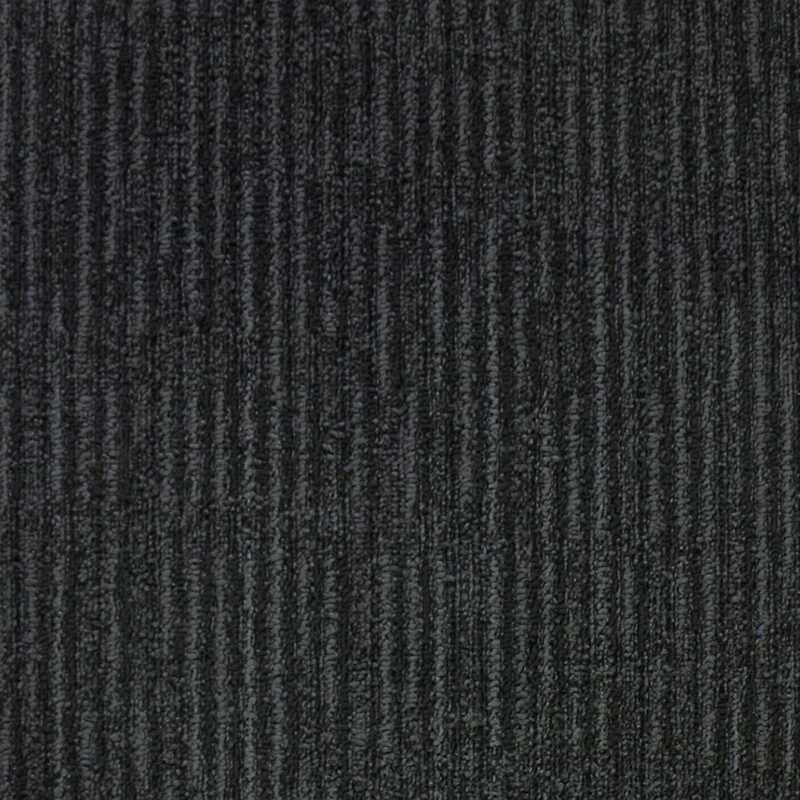 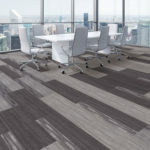 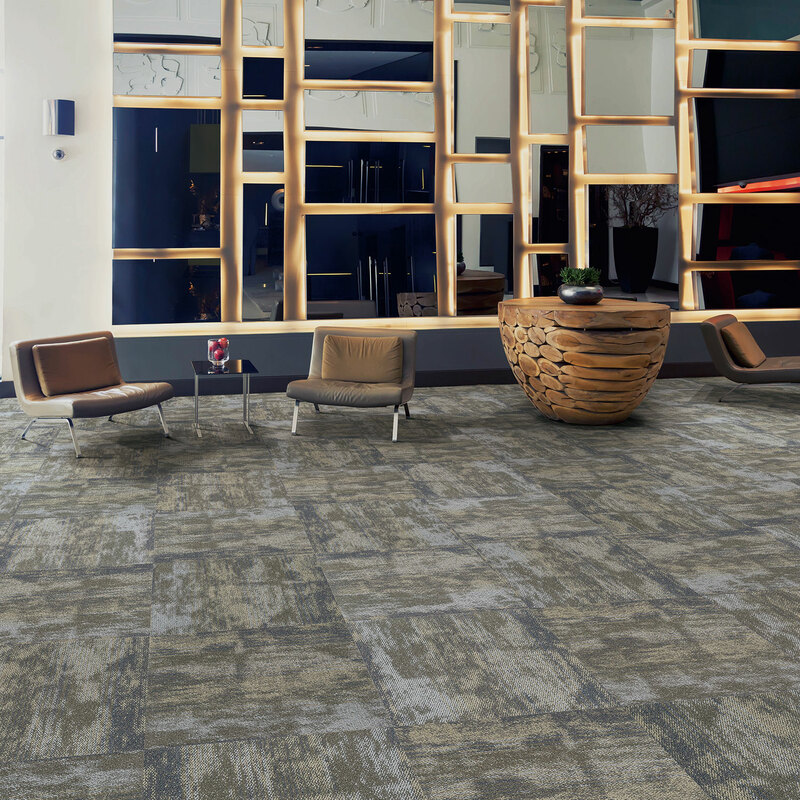 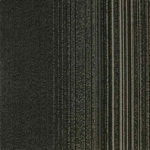 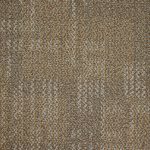 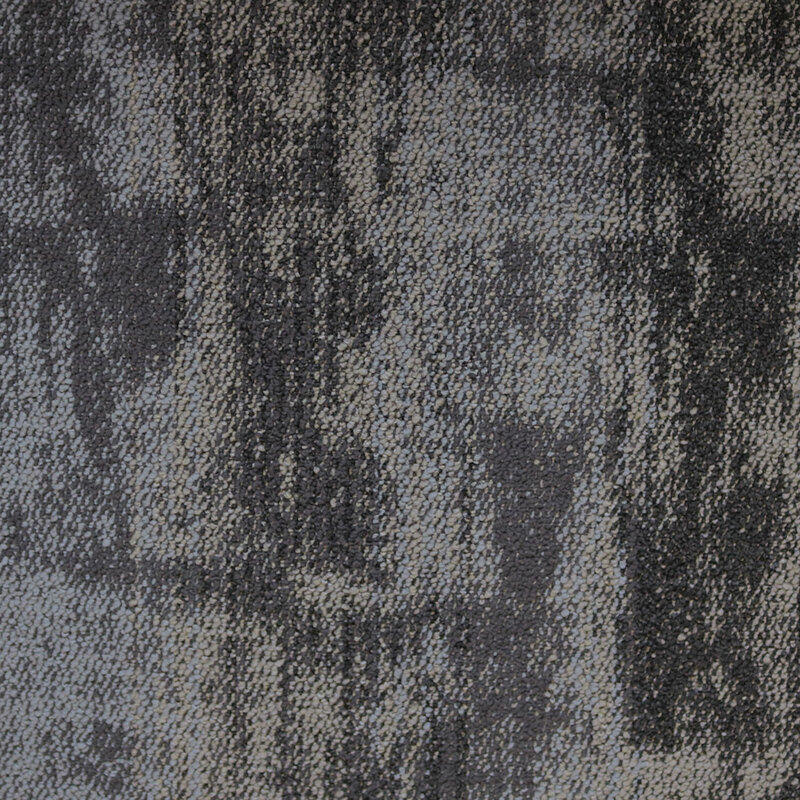 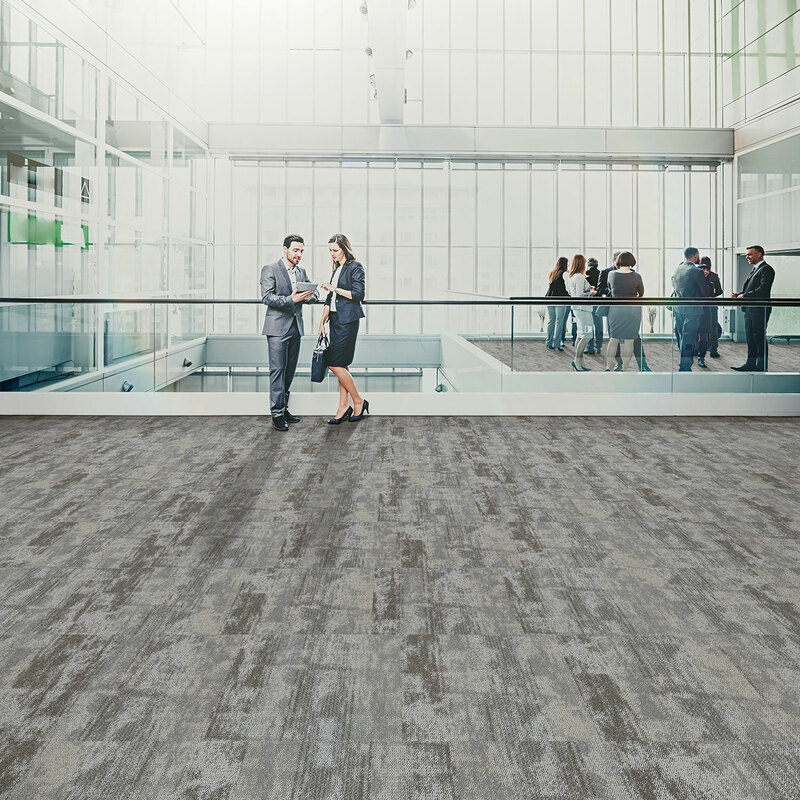 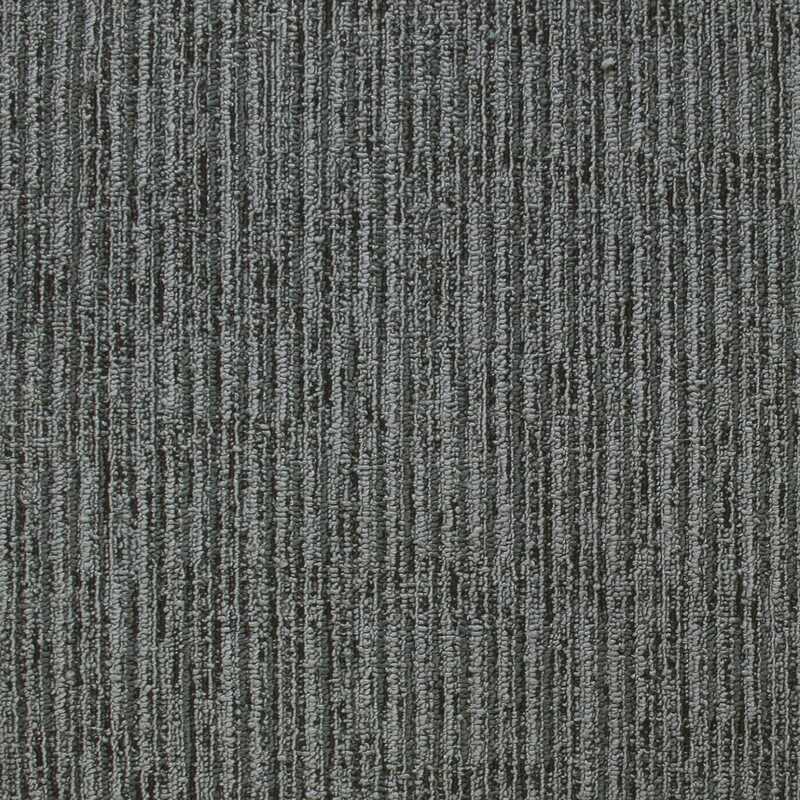 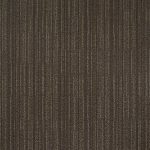 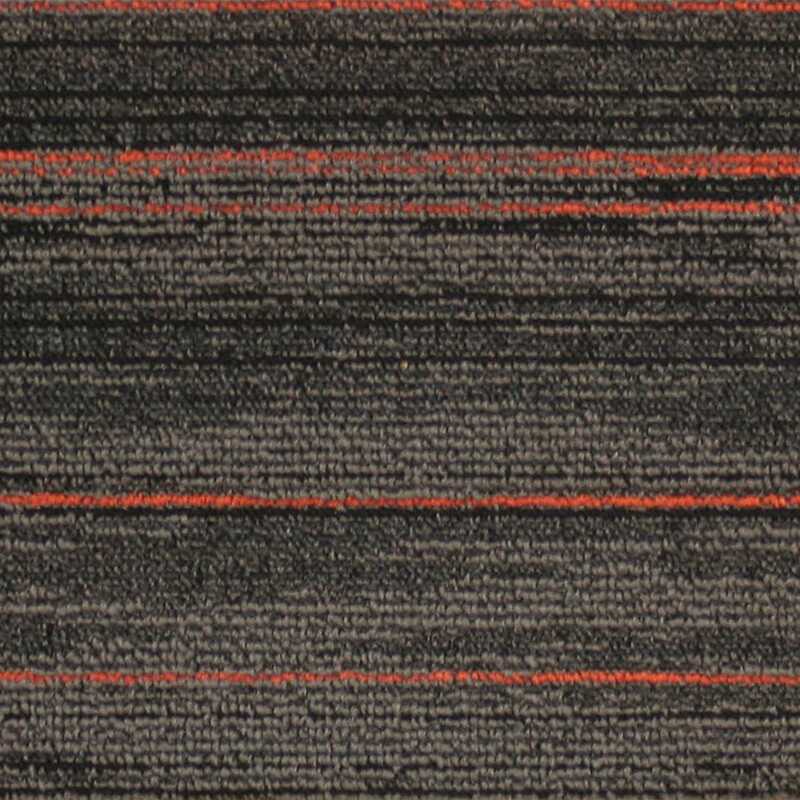 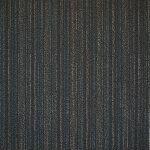 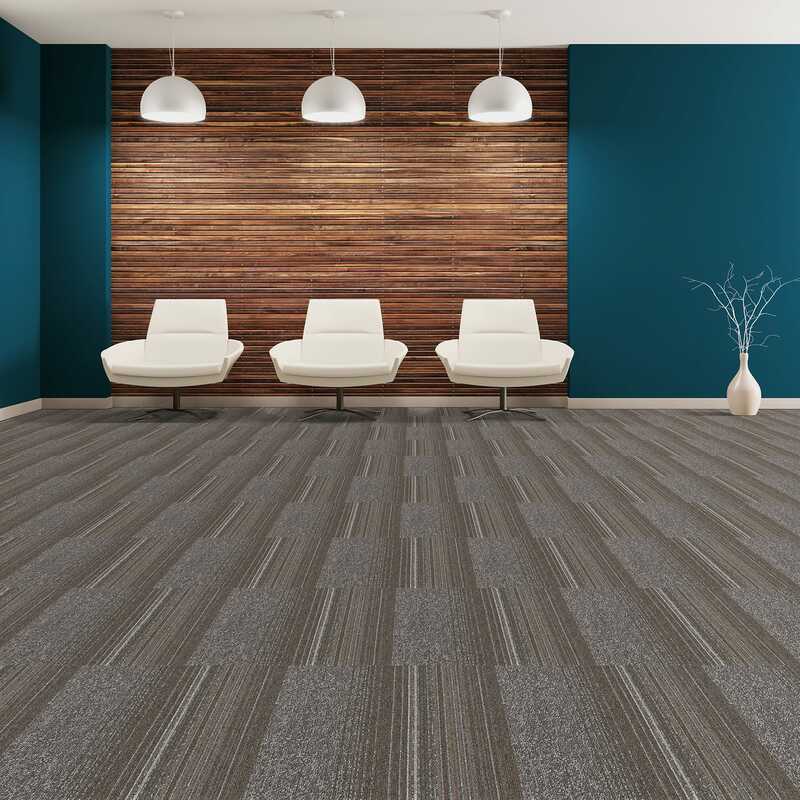 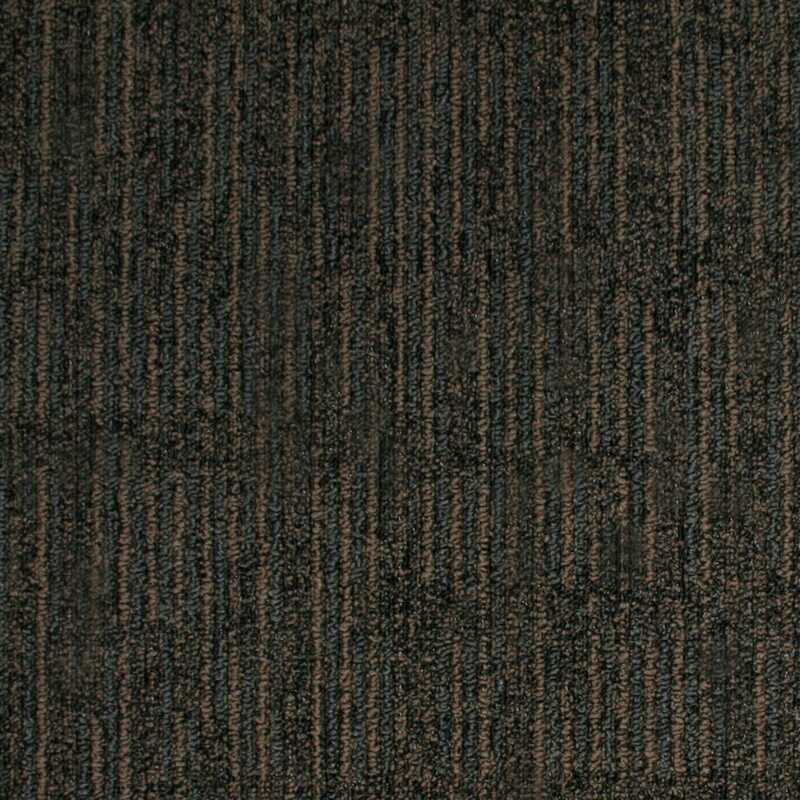 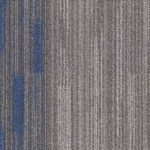 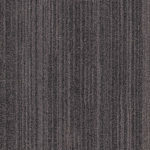 Matrix carpet tile features a linear design pattern making it suitable for trendy commercial interiors. 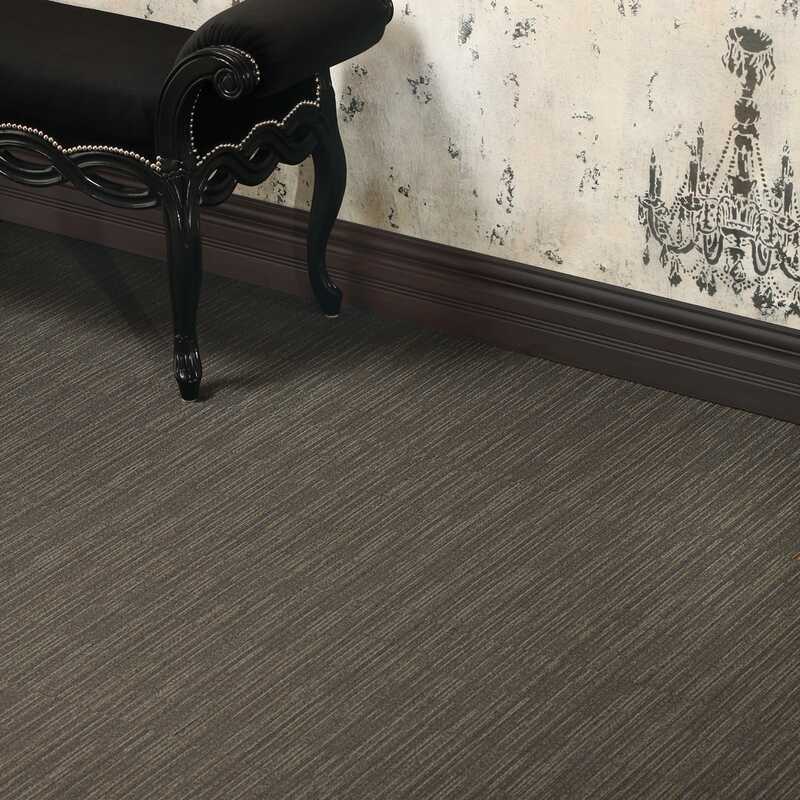 Available in 6 stylish colours, Matrix can be installed quarter-turn or ashlar. 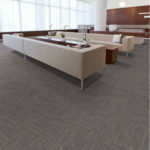 Follow manufacturers installation recommendations. 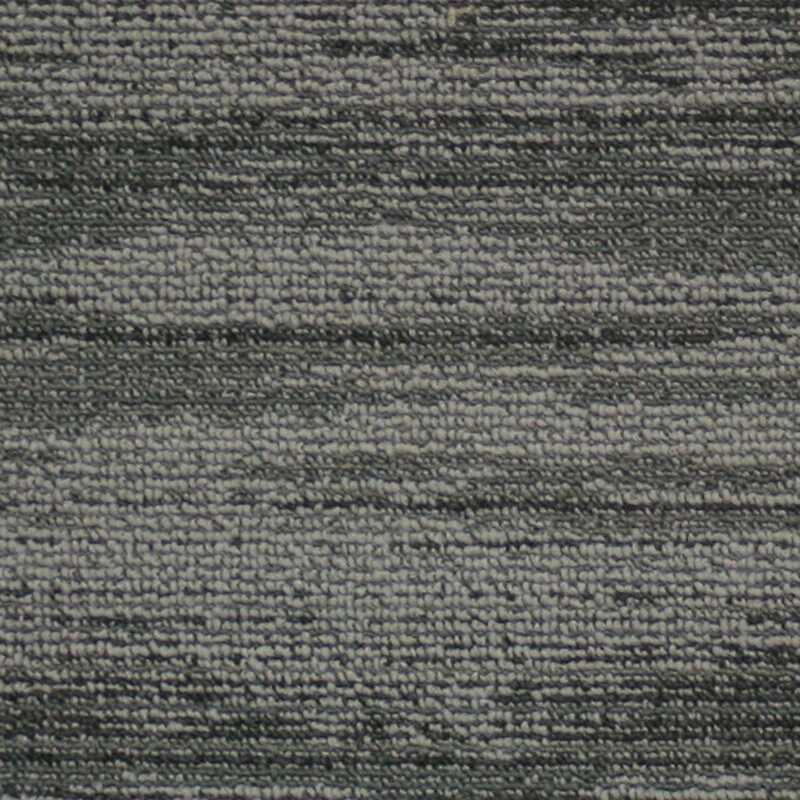 Correct seam sealing is necessary to prevent seam breakdowns. 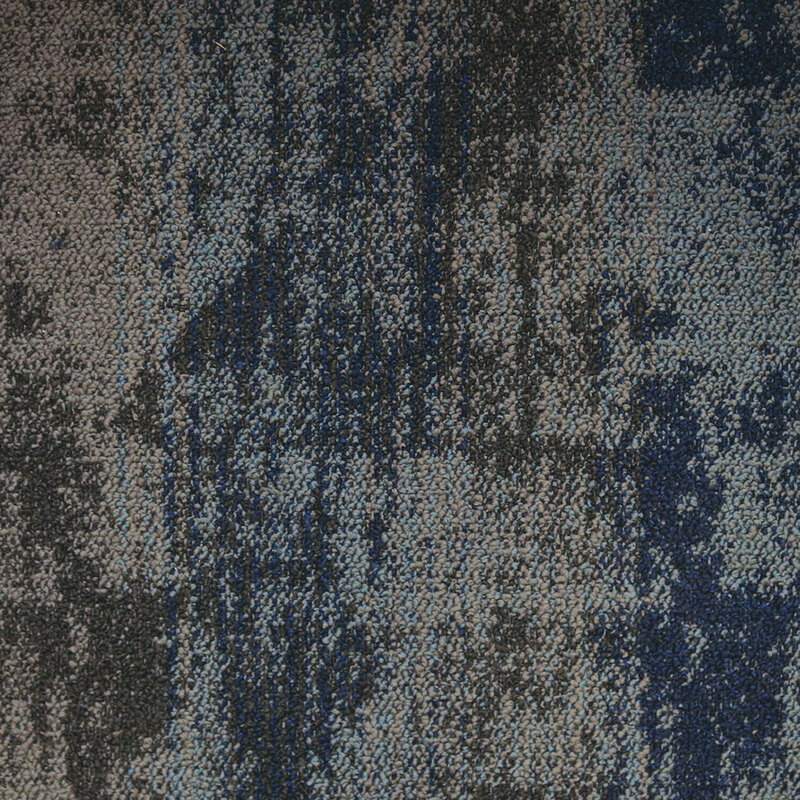 Due to dye lot variations, actual material may vary slightly from samples. 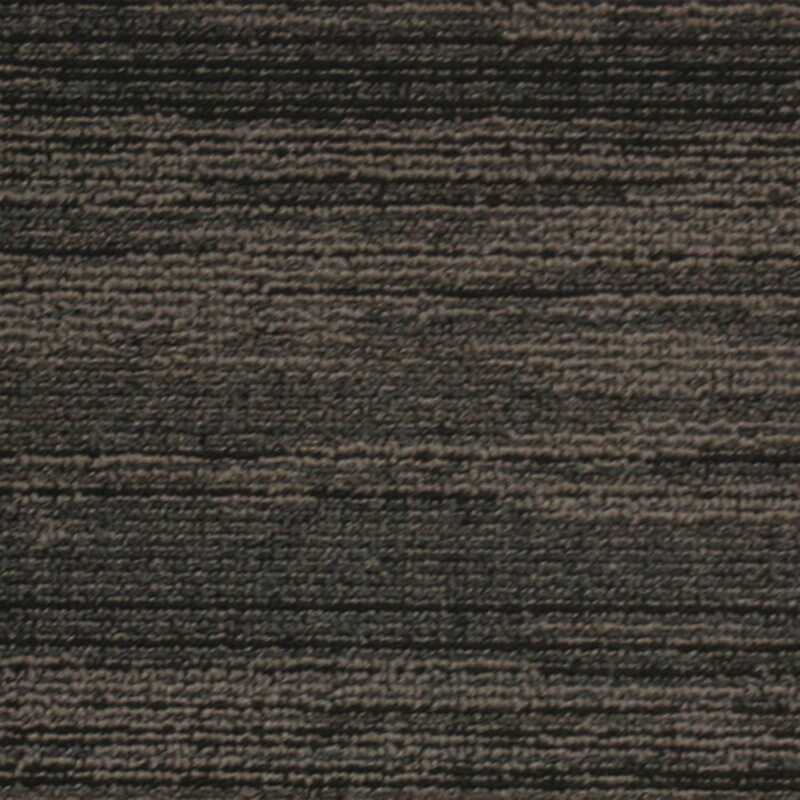 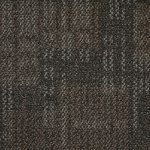 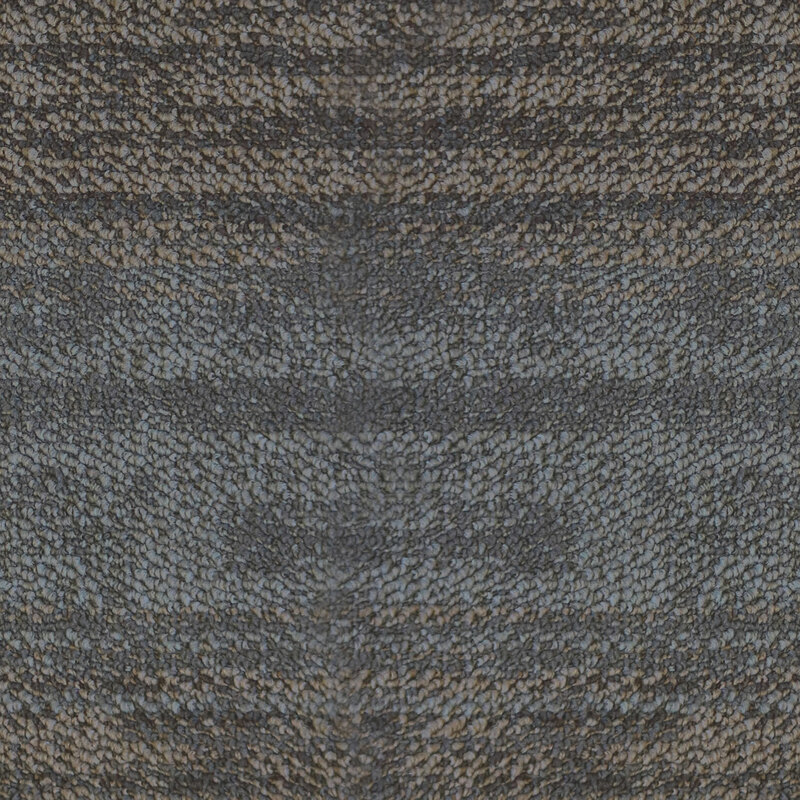 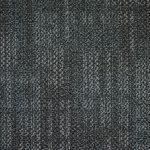 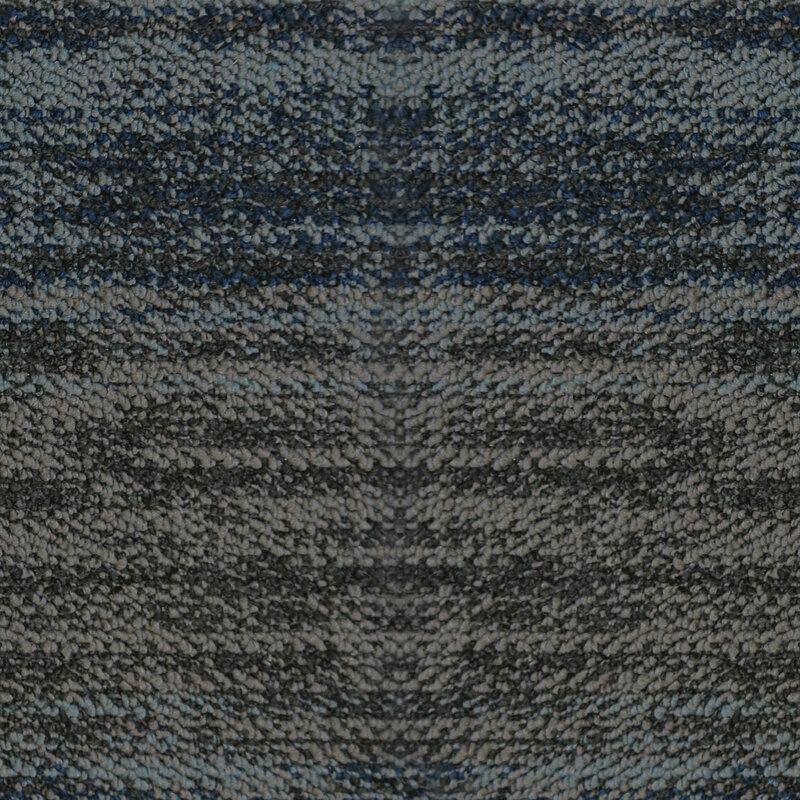 For best results, all seams must be row cut and the carpet must be dry laid to optimize pattern match. 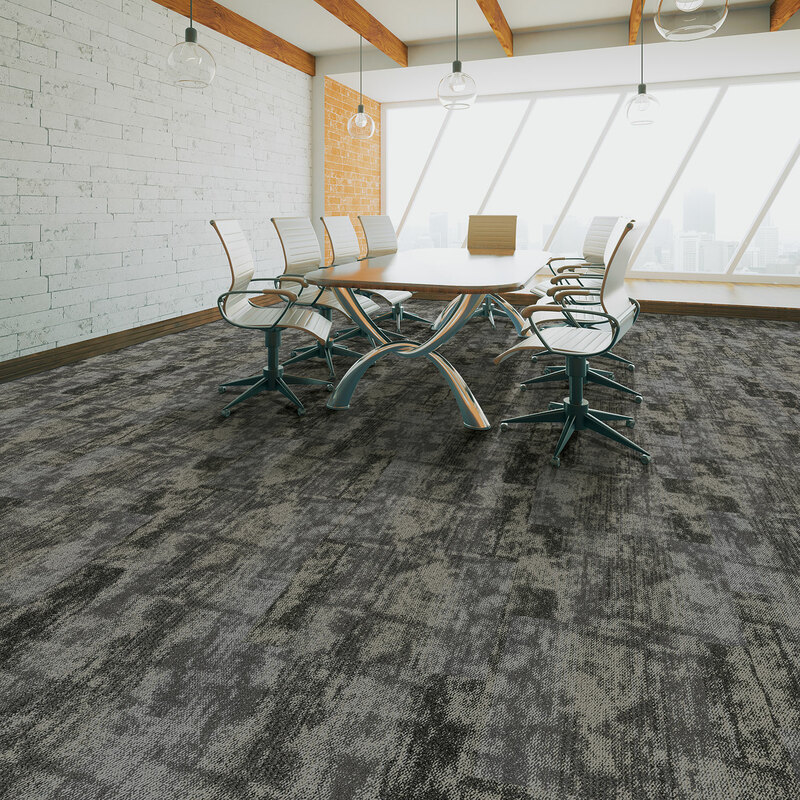 The manufacturer reserves the right to modify the specifications to improve the product without notice and without prejudice. 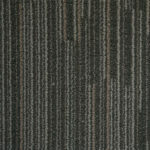 Percentages of recycled content are accurate at date of printing. 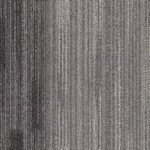 Availability of these inputs may fluctuate. 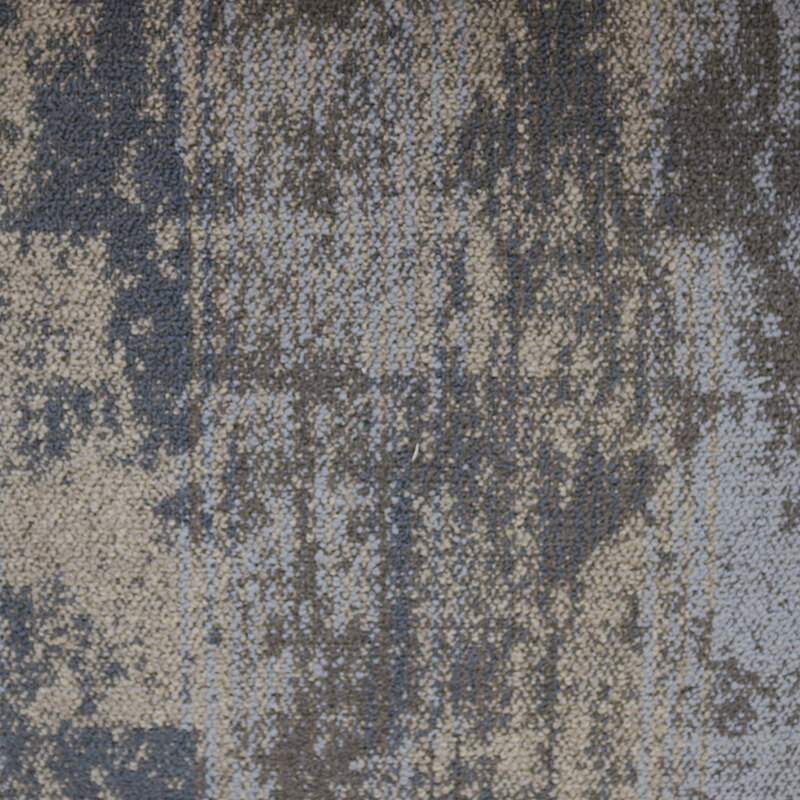 Product image colours may vary due to print processes and monitor display settings. 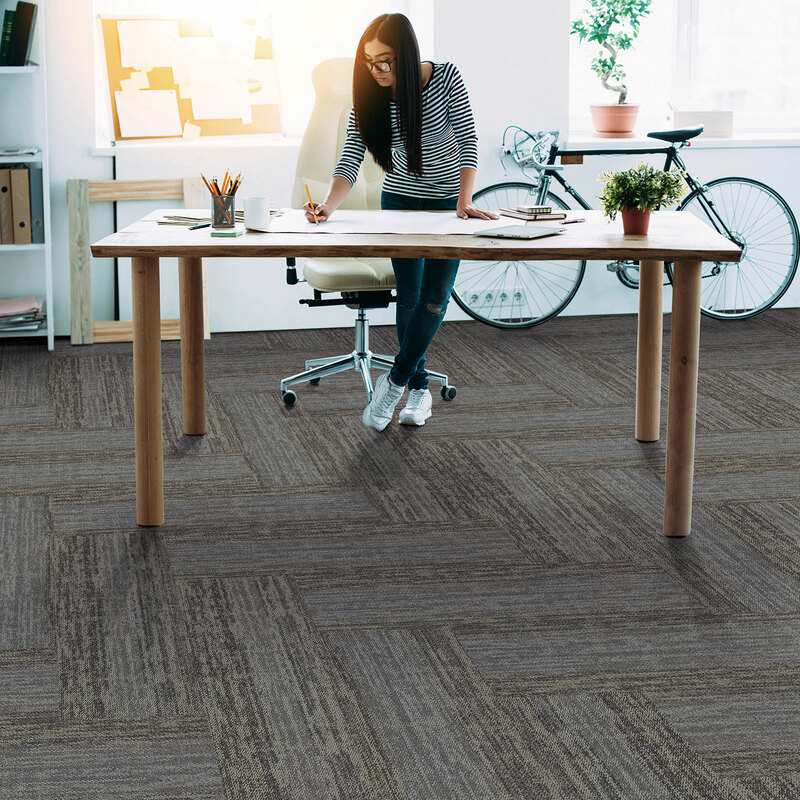 To ensure that the installation meets the manufacturers requirements please note that Kraus Premium Adhesive is the recommended adhesive for this product. 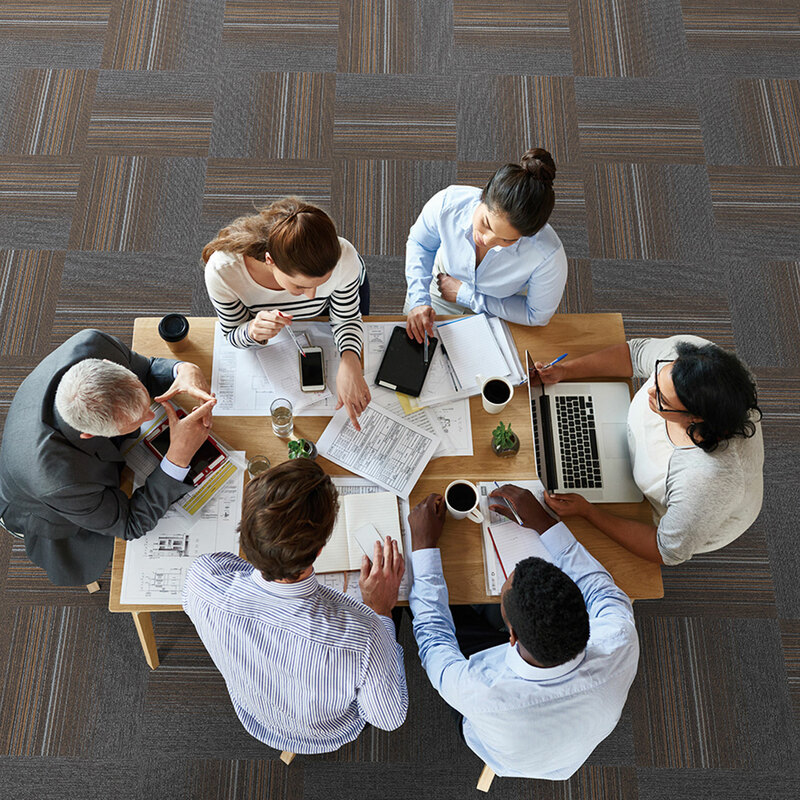 Improper adhesive may void warranty related claims. 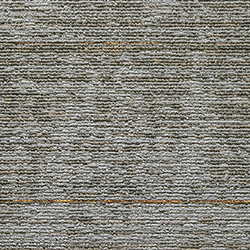 Stain Proof – No Exceptions™ warranties must follow specific guidelines outlined in full maintenance instructions. 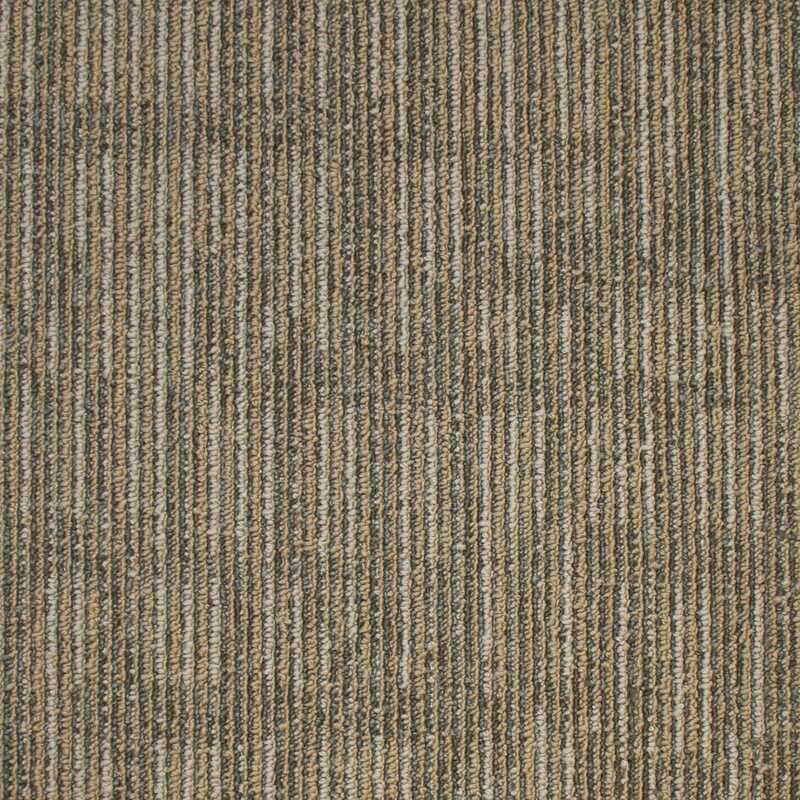 Please see installation instructions for full details. 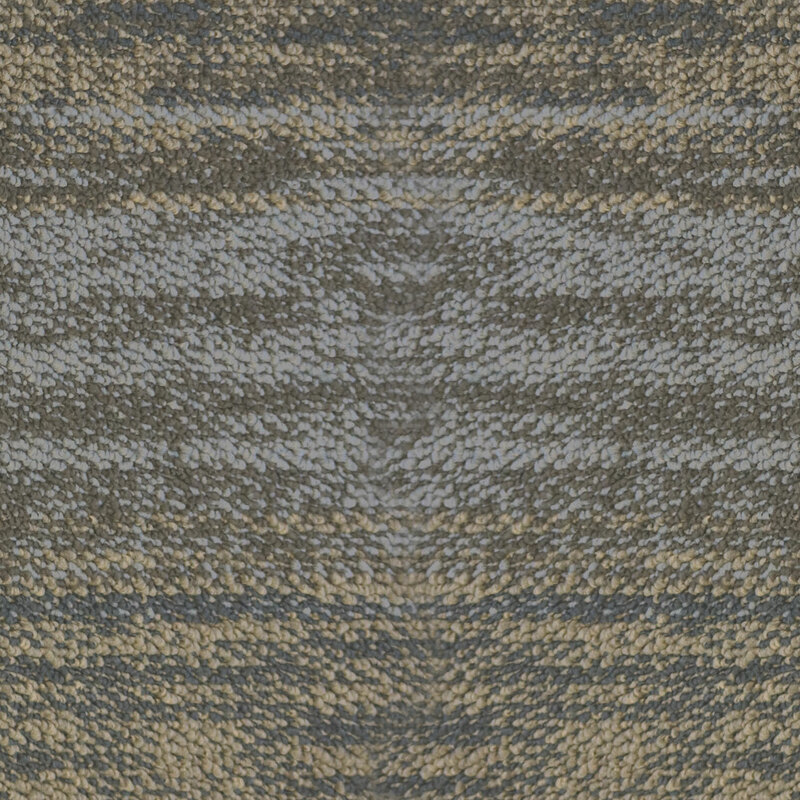 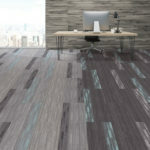 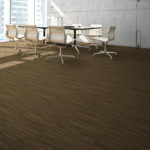 Kraus’ first plank modular carpet tile! 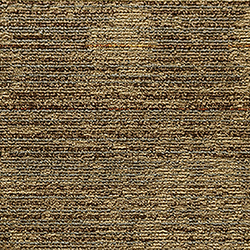 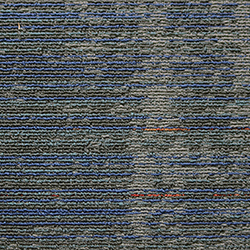 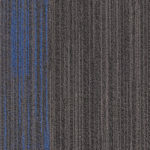 This carpet tile features a linear design with bright coloured accents for today’s trendy interiors. 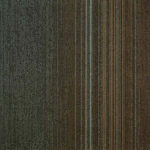 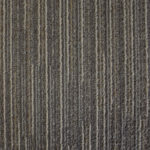 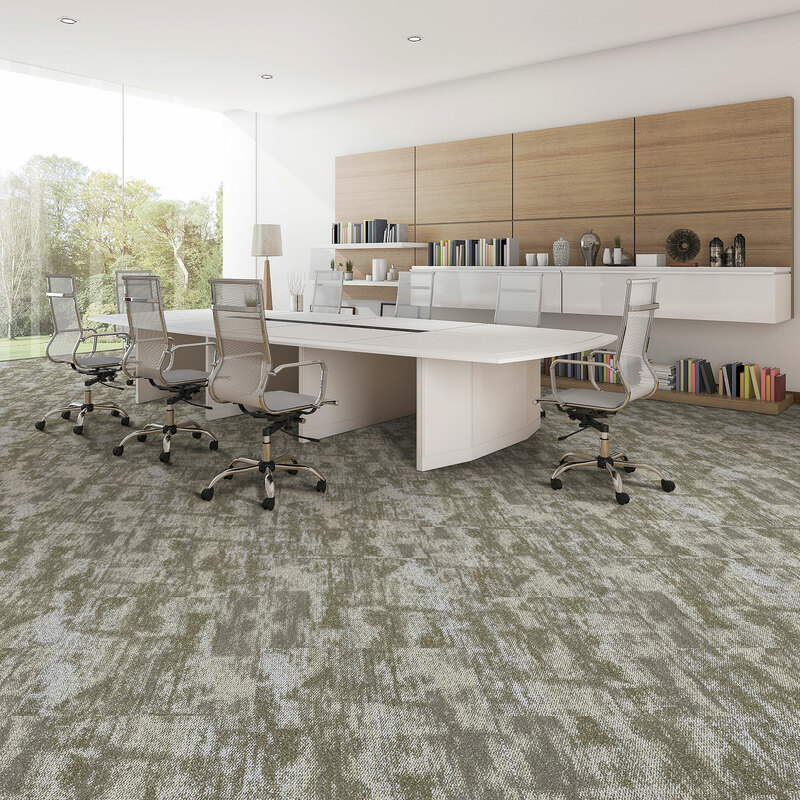 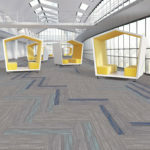 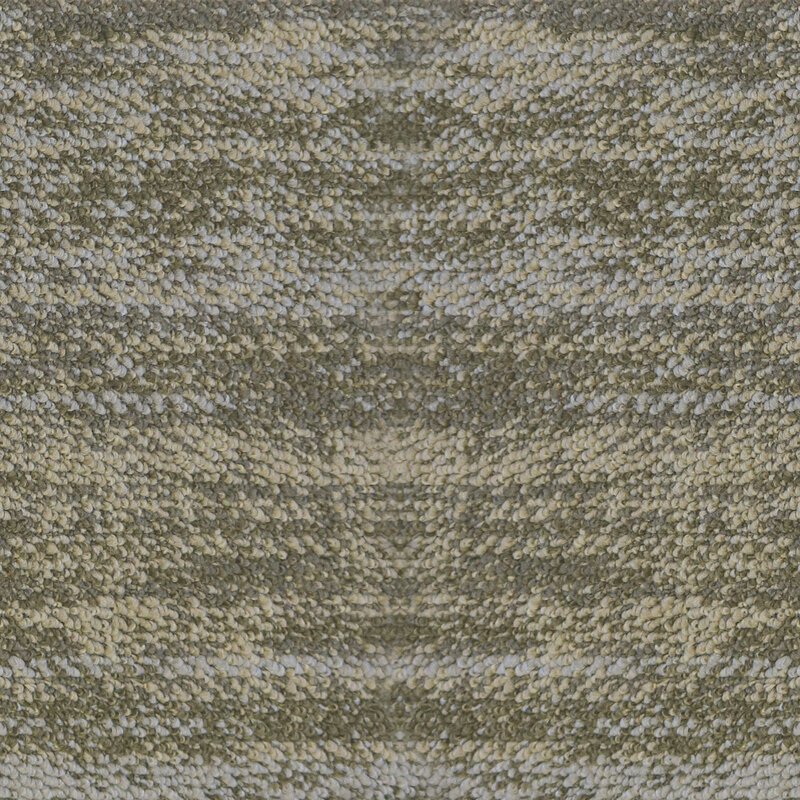 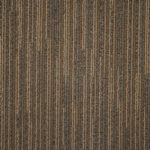 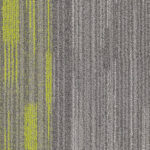 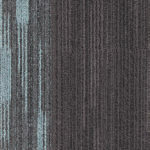 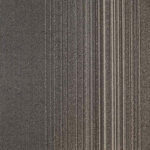 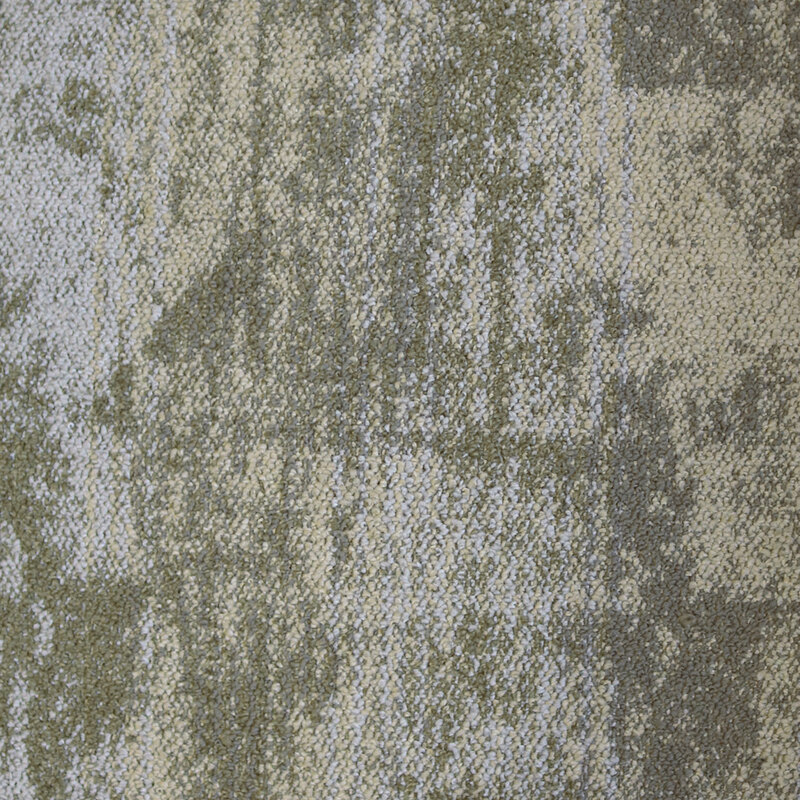 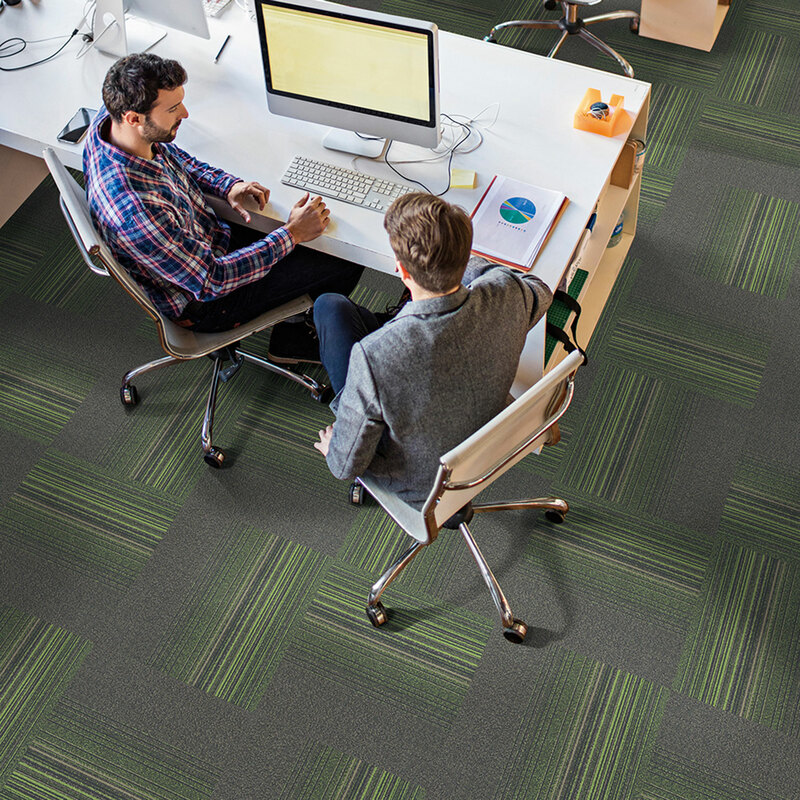 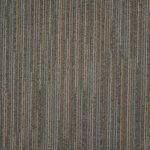 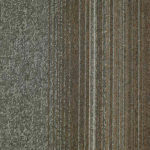 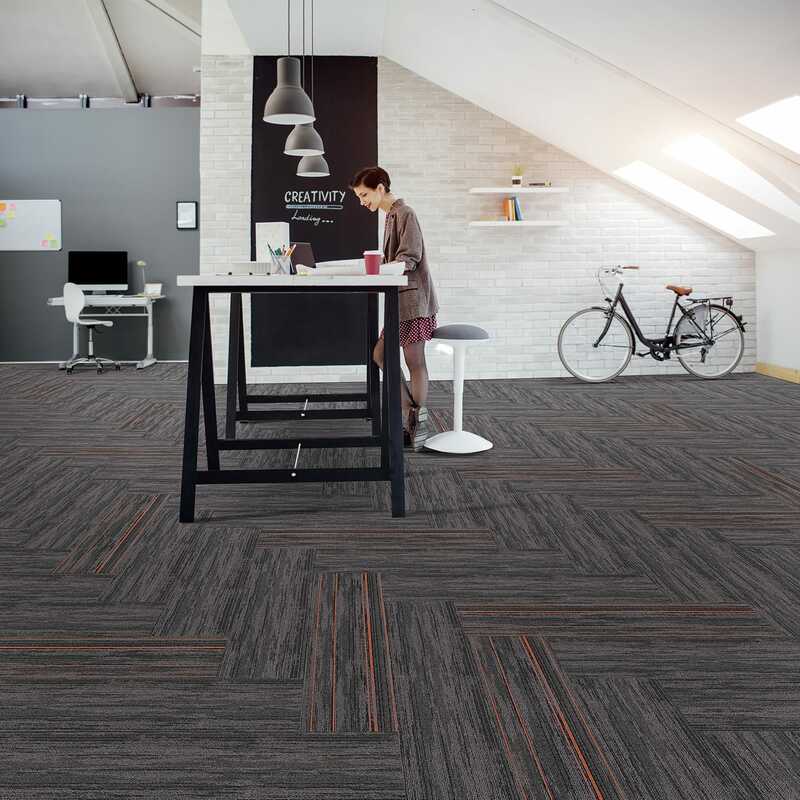 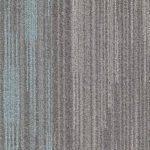 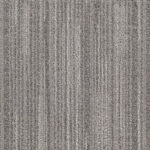 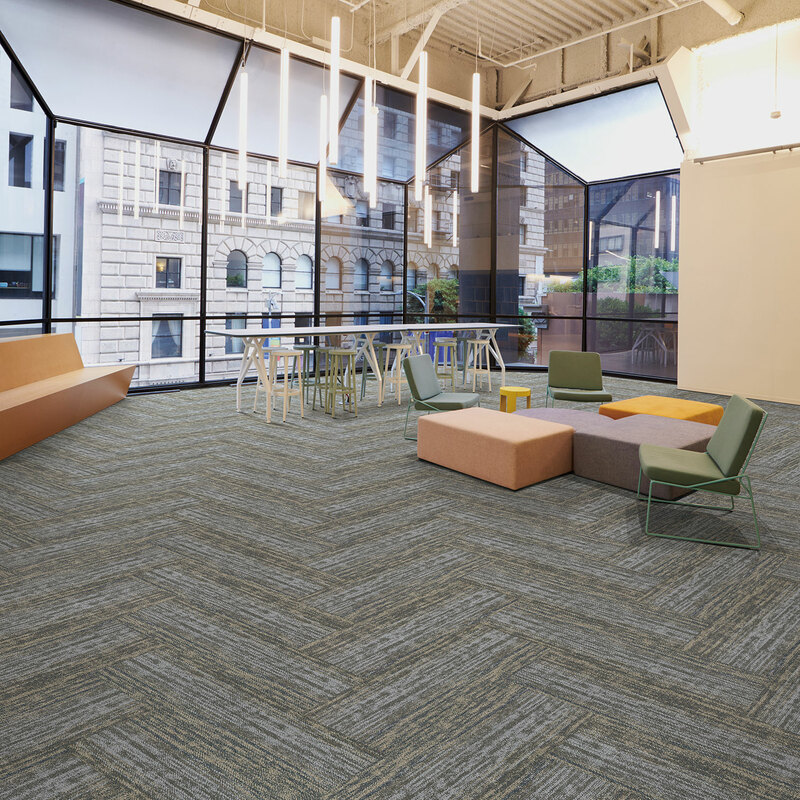 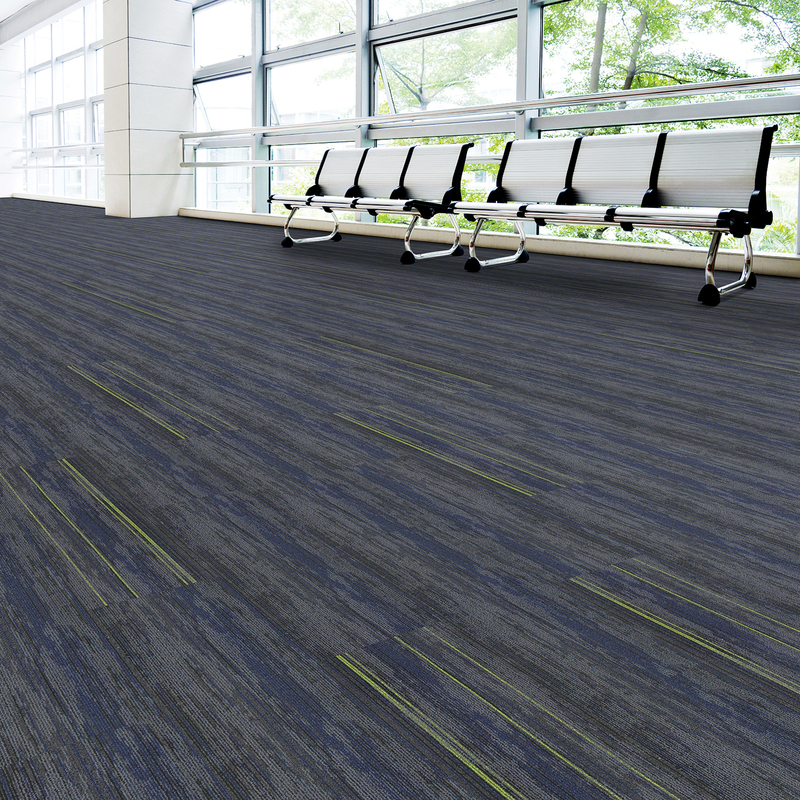 Impulse modular carpet tile features an organic pattern with linear accent colours. 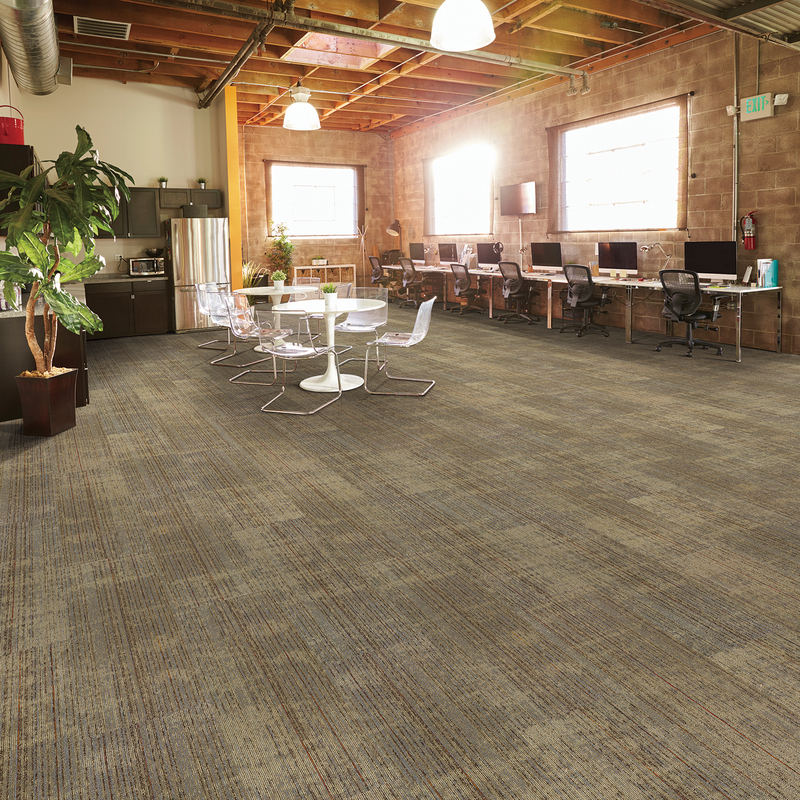 The perfect choice for any modern office space. 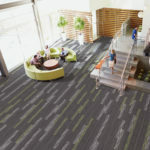 Follow manufacturer installation recommendations. 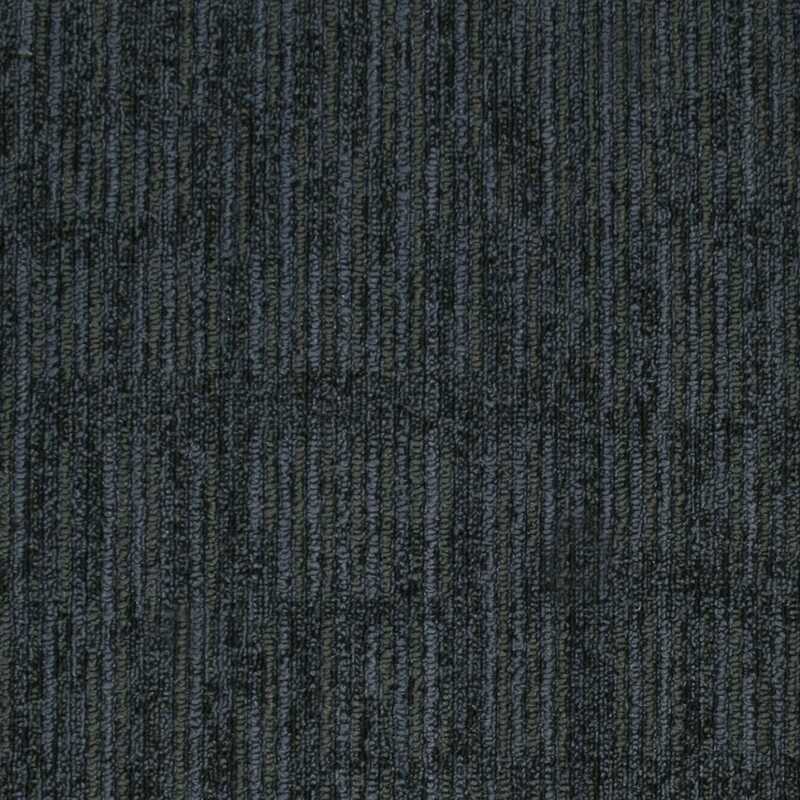 Correct seam sealing is necessary to prevent seam breakdowns. 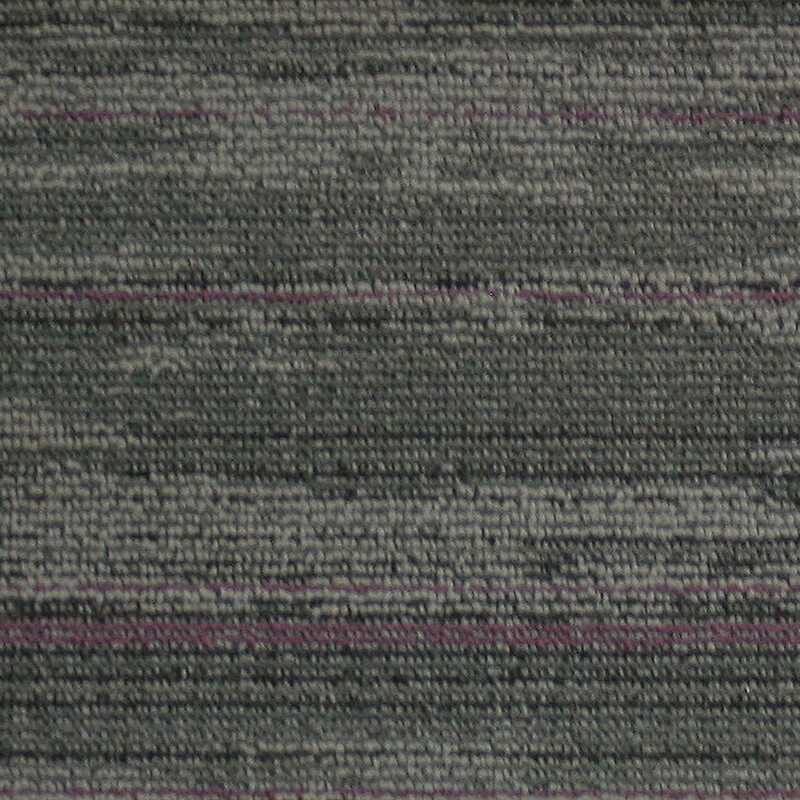 Due to dye lot variations, actual material may vary slightly from samples. 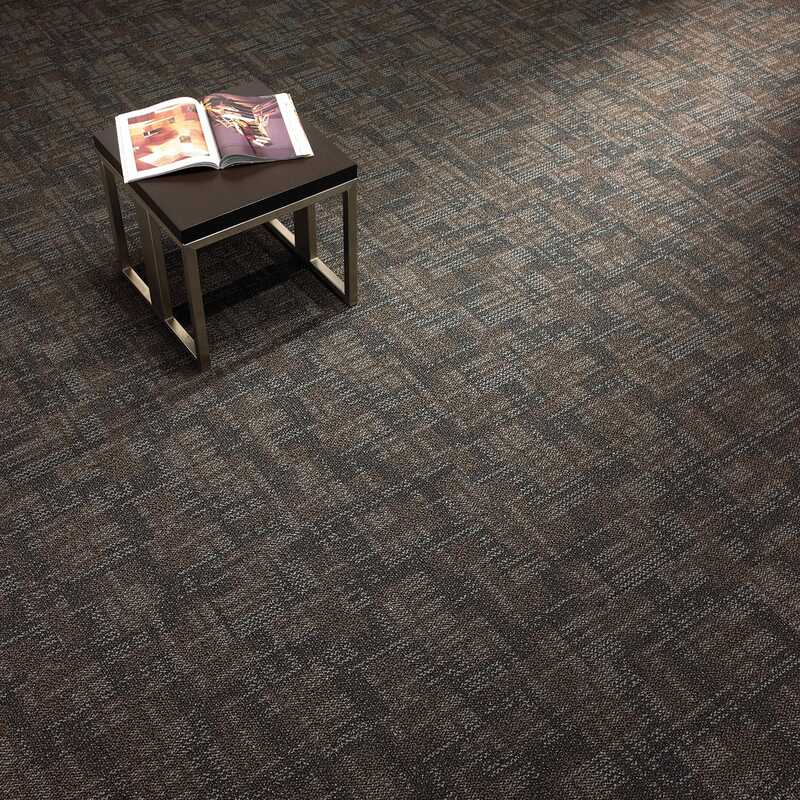 For best results, all seams must be row cut and the carpet must be dry laid to optimize pattern match. 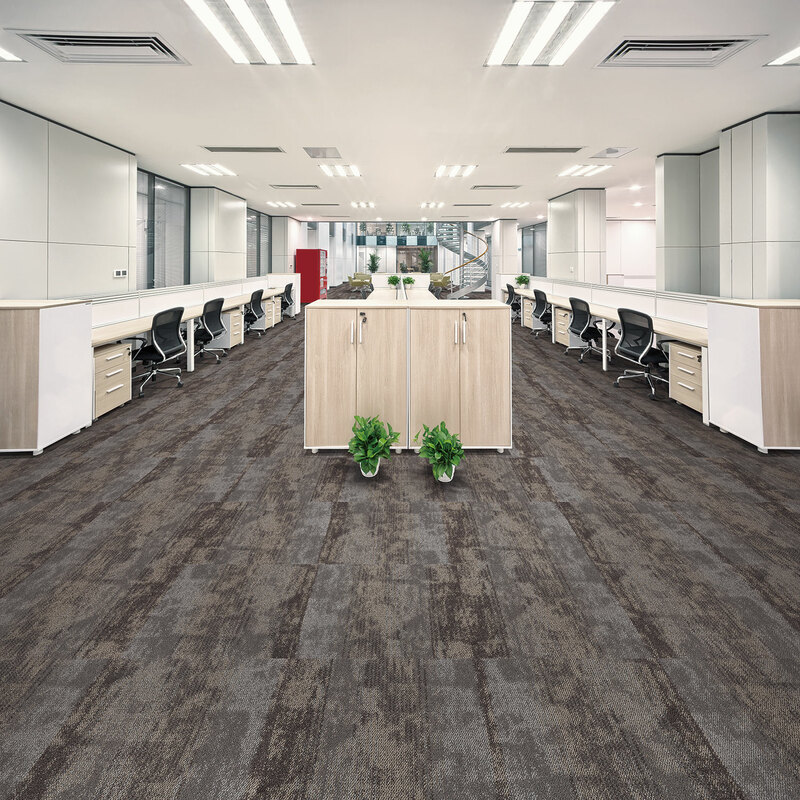 The manufacturer reserves the right to modify the specifications to improve the product without notice and without prejudice. 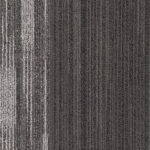 Percentages of recycled content are accurate at date of printing. 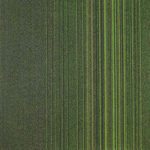 Availability of these inputs may fluctuate. 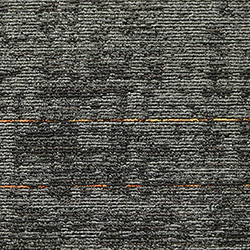 product image colours may vary due to print processes and monitor display settings. 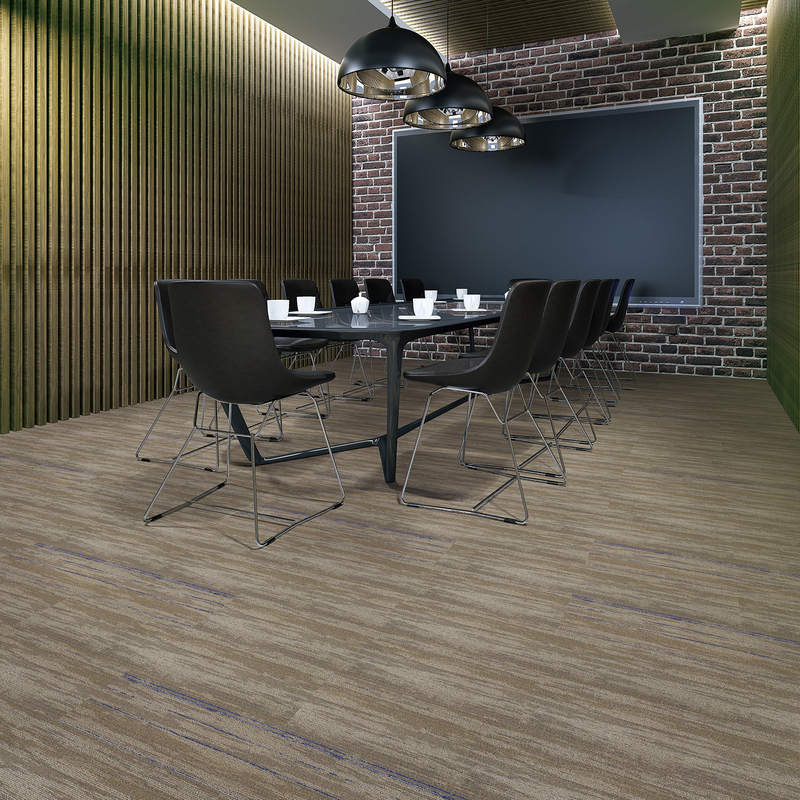 To ensure that the installation meets the manufacturers requirements please note that Kraus Premium Adhesive is the recommended adhesive for this product. 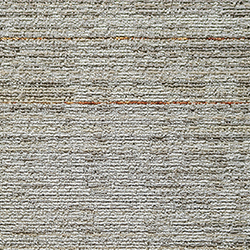 Improper adhesive may void warranty related claims. 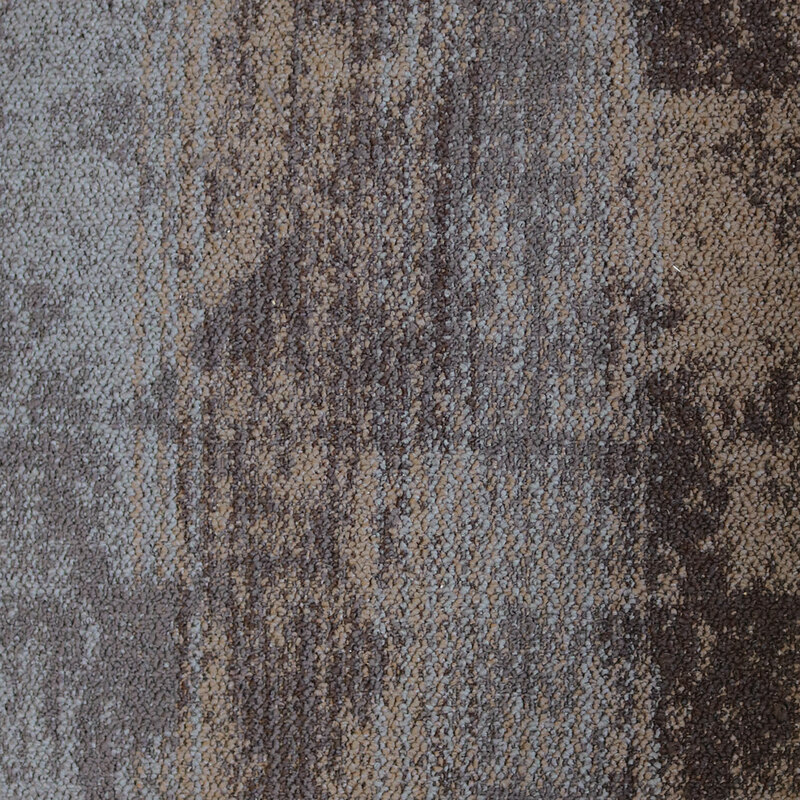 Stain Proof – No Exceptions warranties must follow specific guidelines outlined in full maintenance instructions. 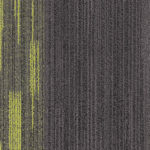 Please see installation instructions for full details.